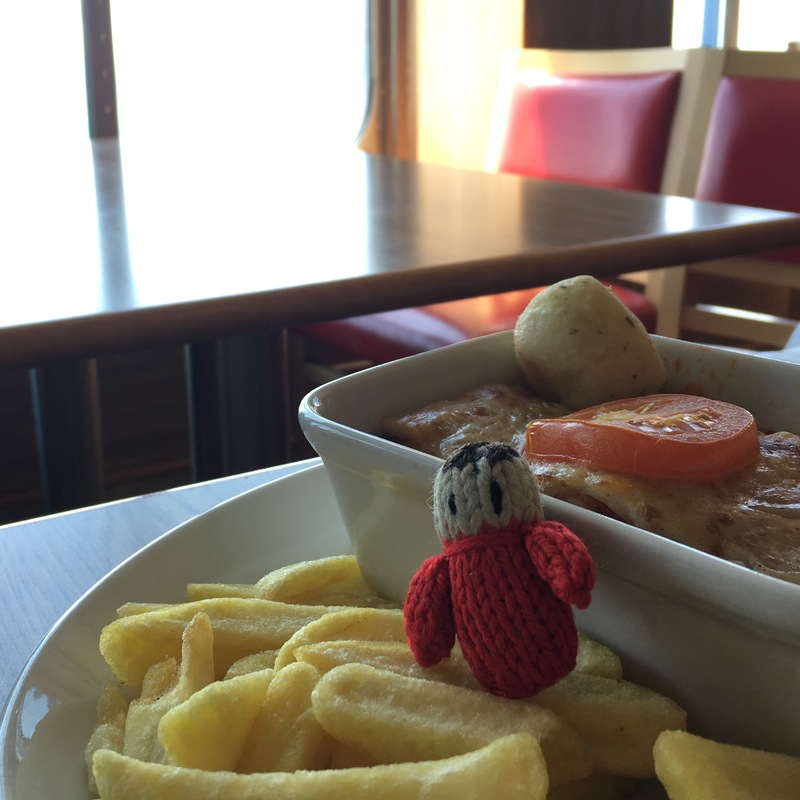 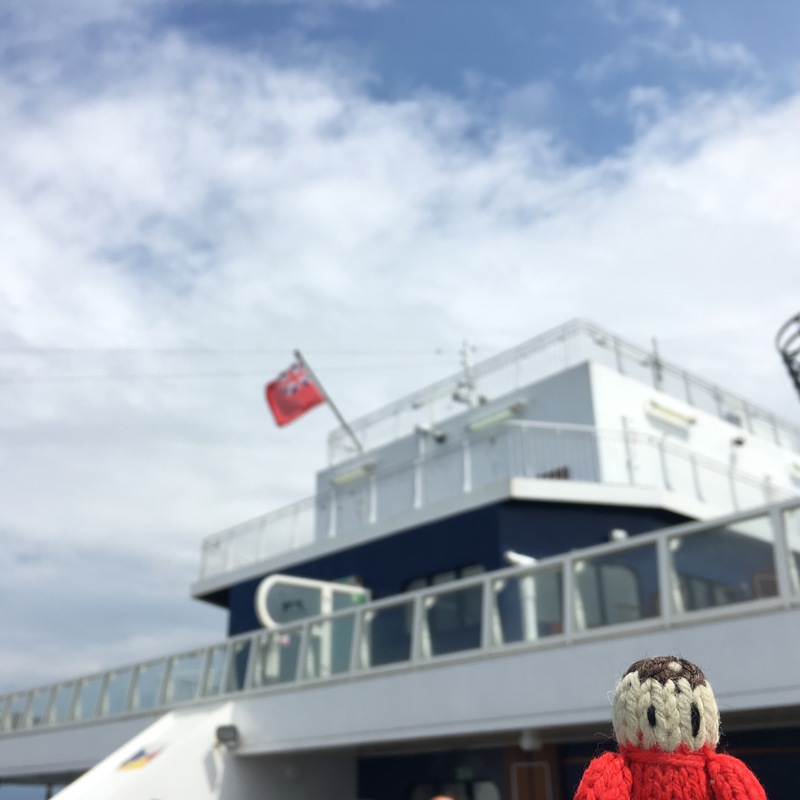 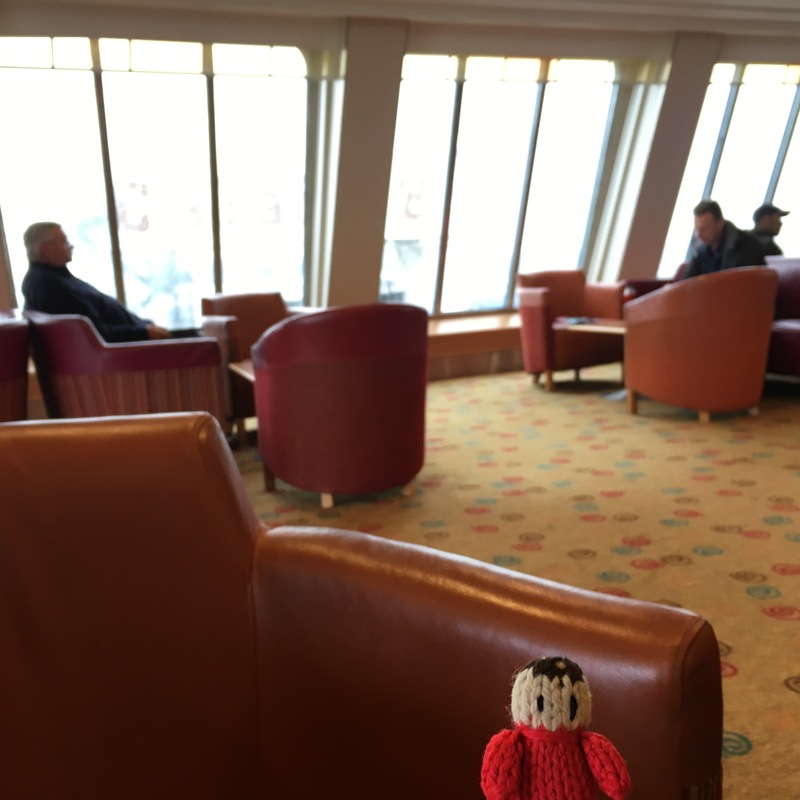 We set off for France last Thursday on a P&O Ferry to Calais. 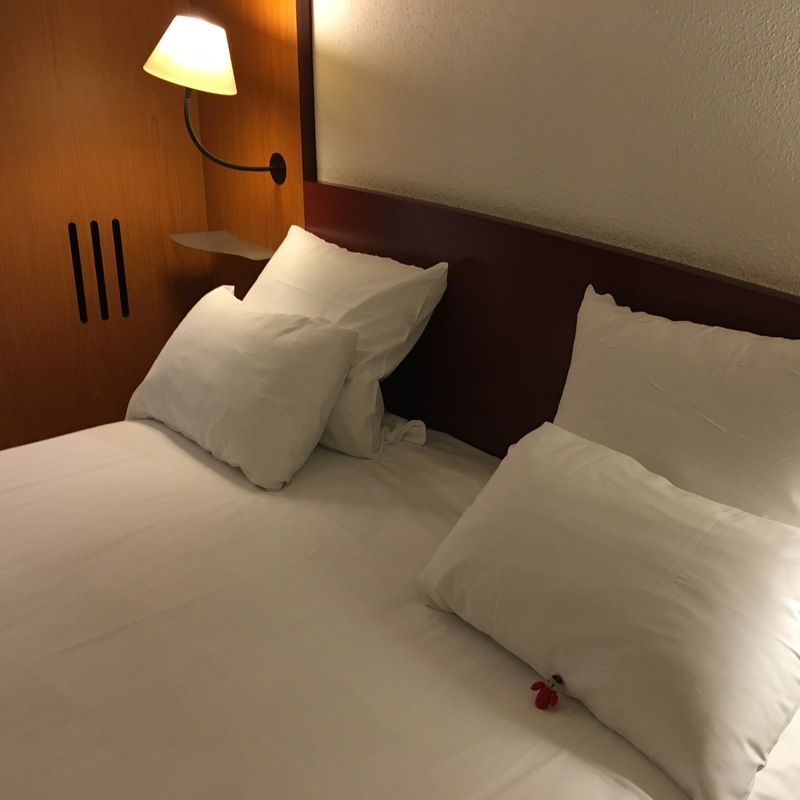 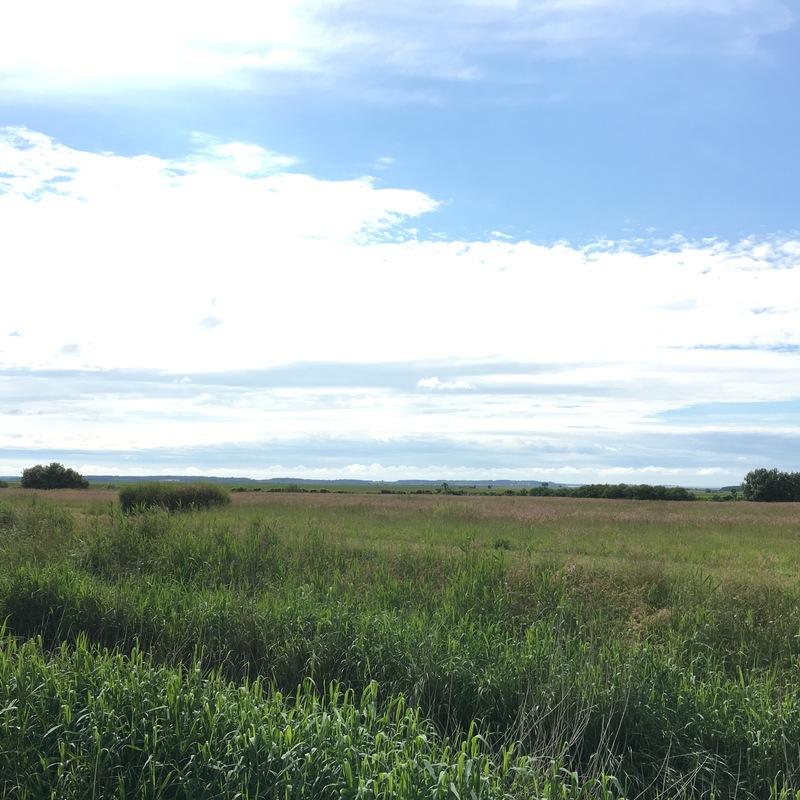 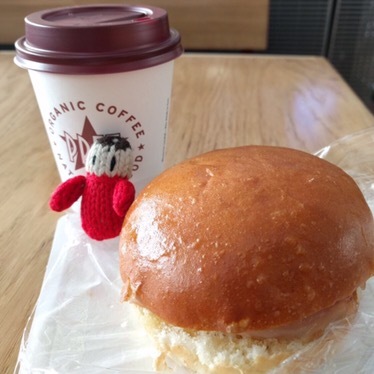 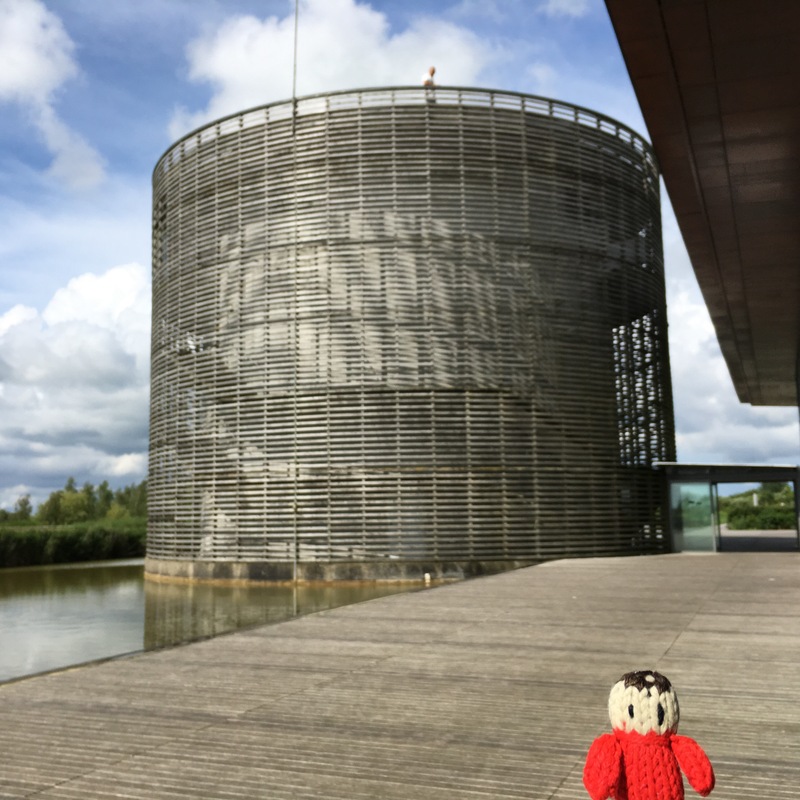 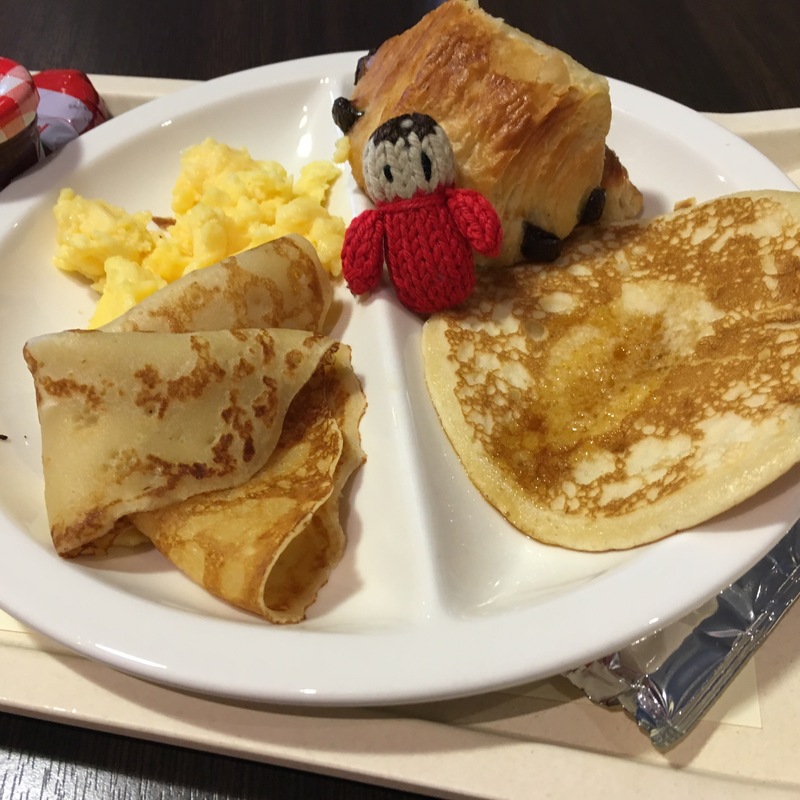 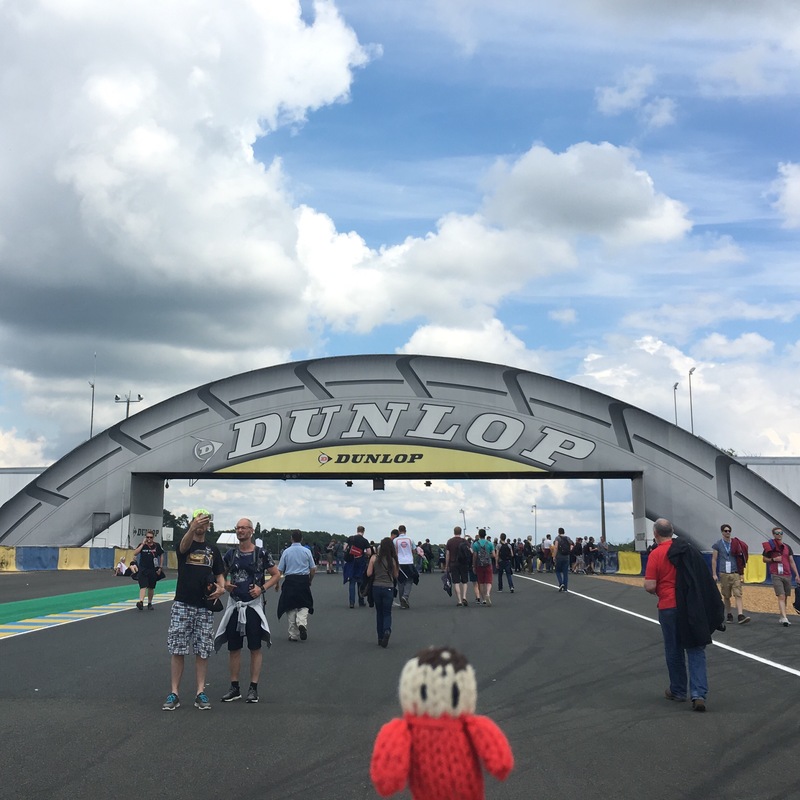 We drove down to Le Mans stopping a couple of times, including at our favourite services in the countryside. 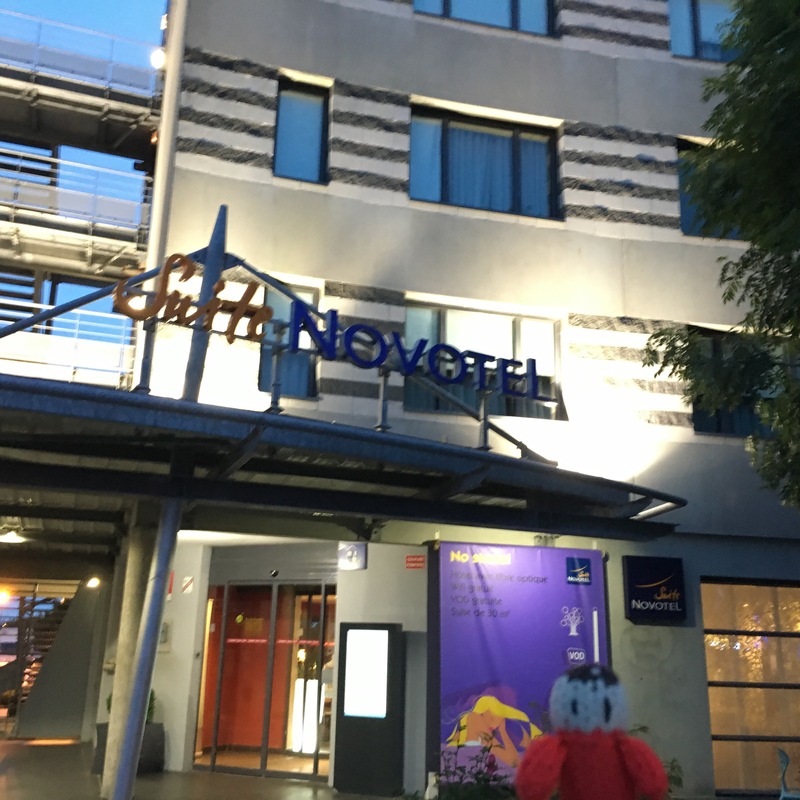 We arrived at about 10.30pm in a very heavy rain shower! 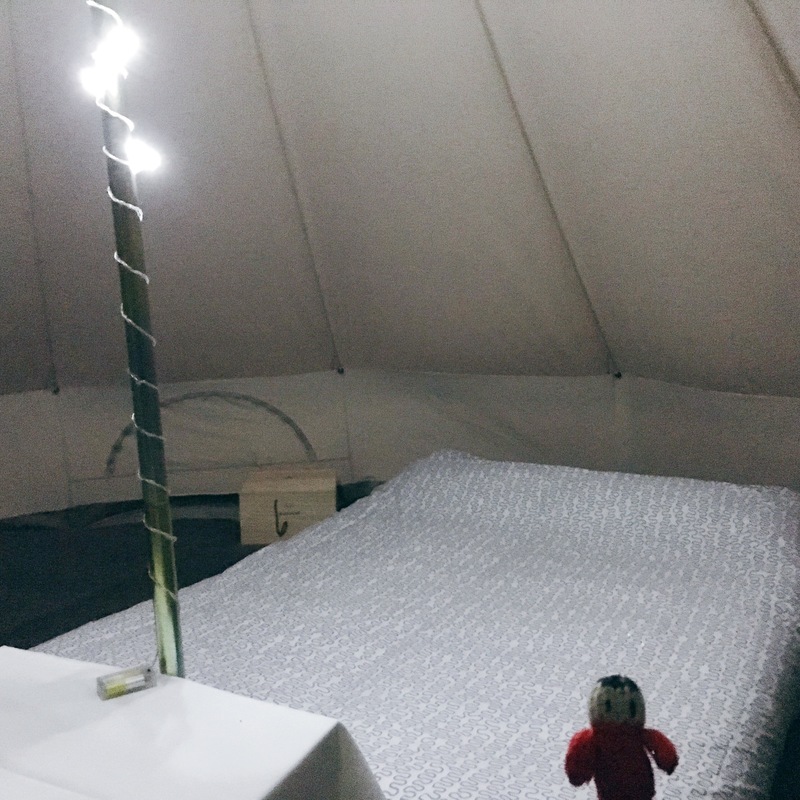 We stayed with Travel Destinations in one of their Event Tents, a very nicely fitted out bell tent. 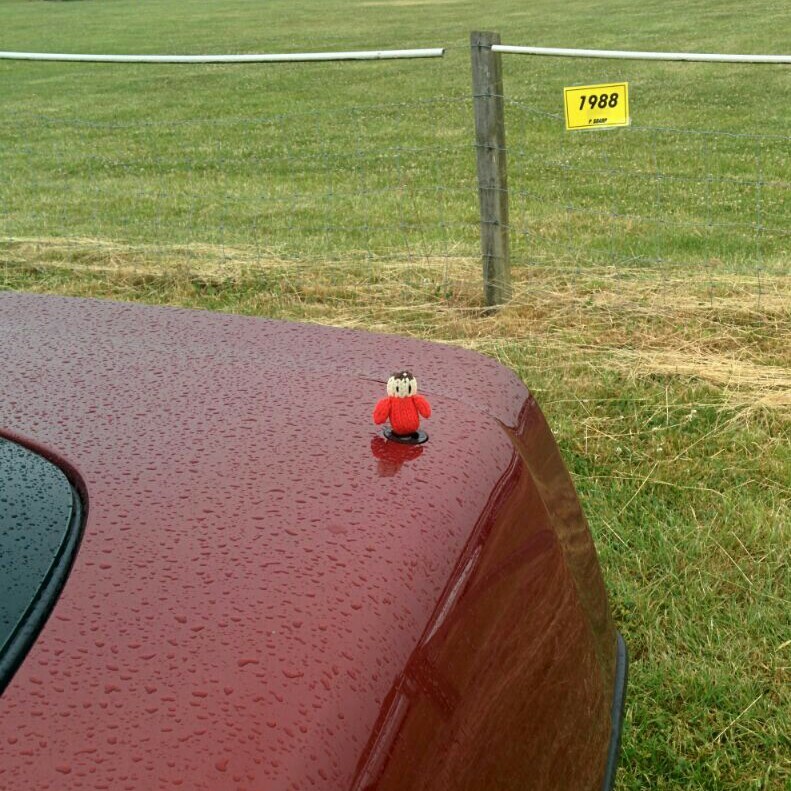 We were extremely happy that we didn’t have to put up a tent in the rain! 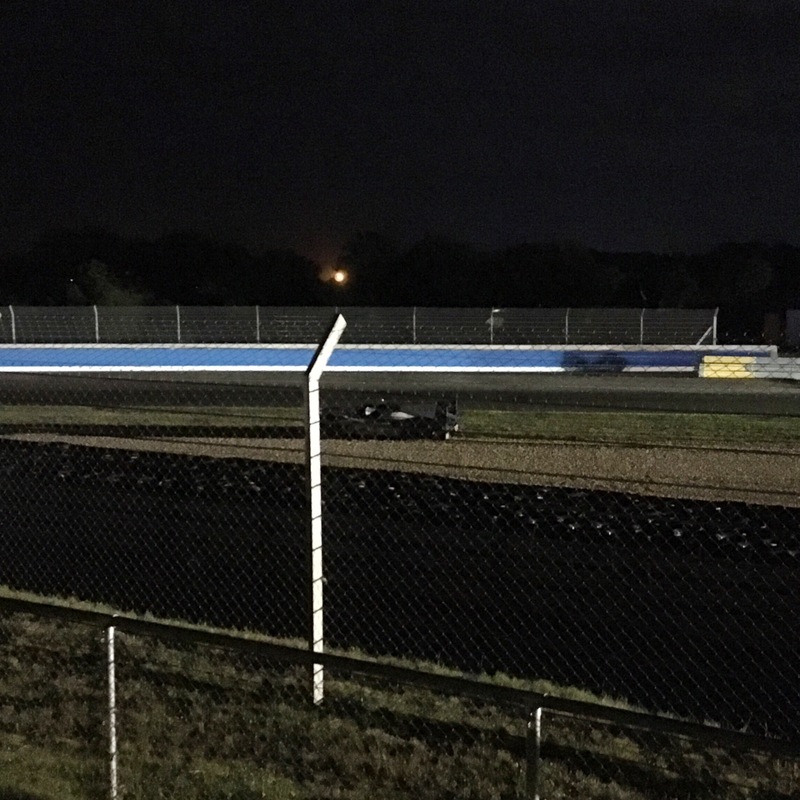 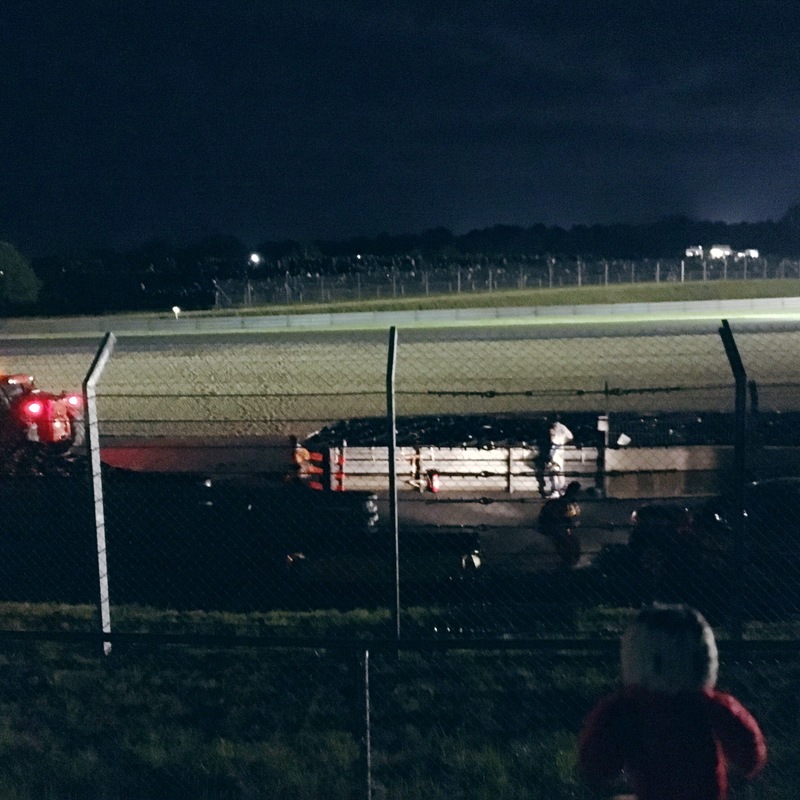 The final qualifying session was disrupted by the rain, but we got to see the last fifteen minutes before the end of the session at midnight. 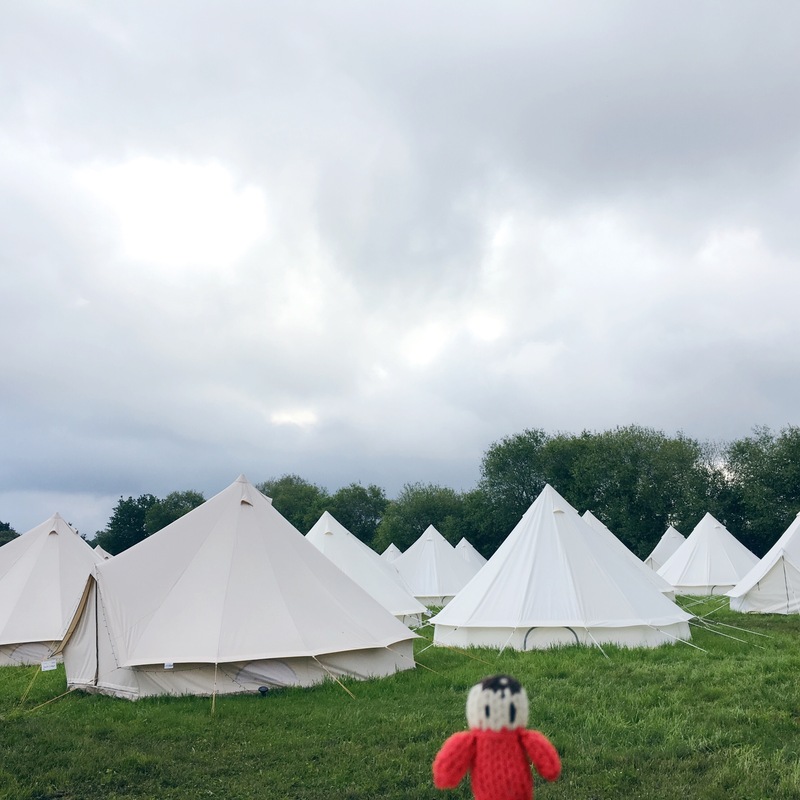 The next morning we could admire the field of bell tents and have some coffee at the campsite food tent. 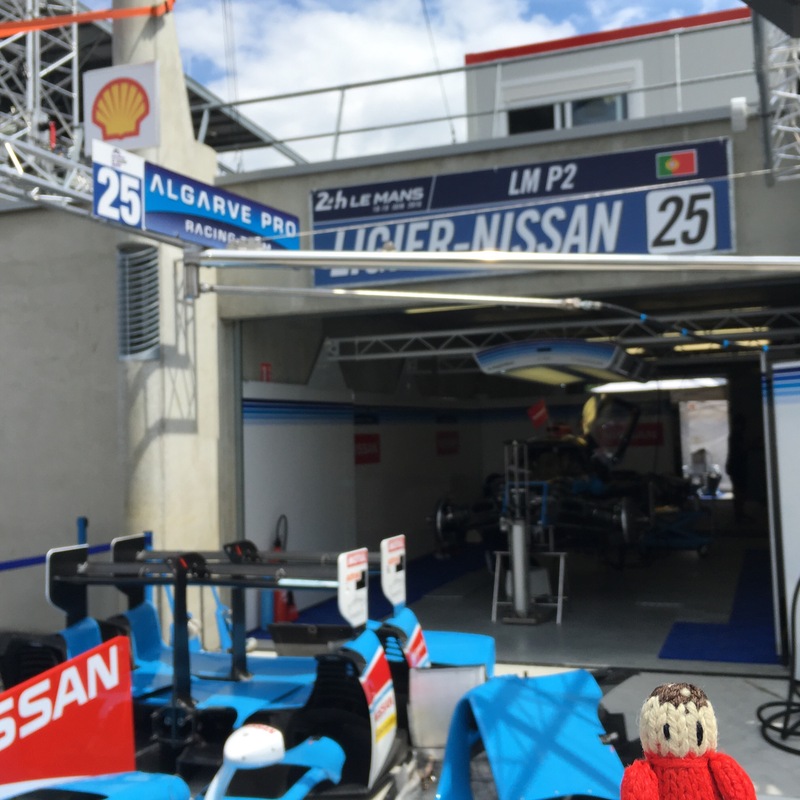 On Friday the pit lane was open so we were able to go and see all the cars up close. 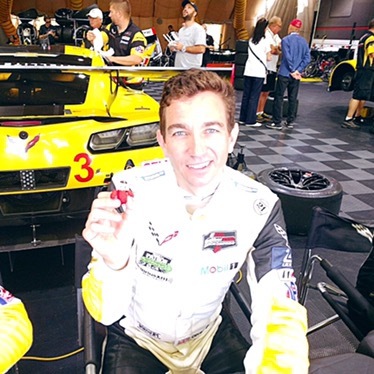 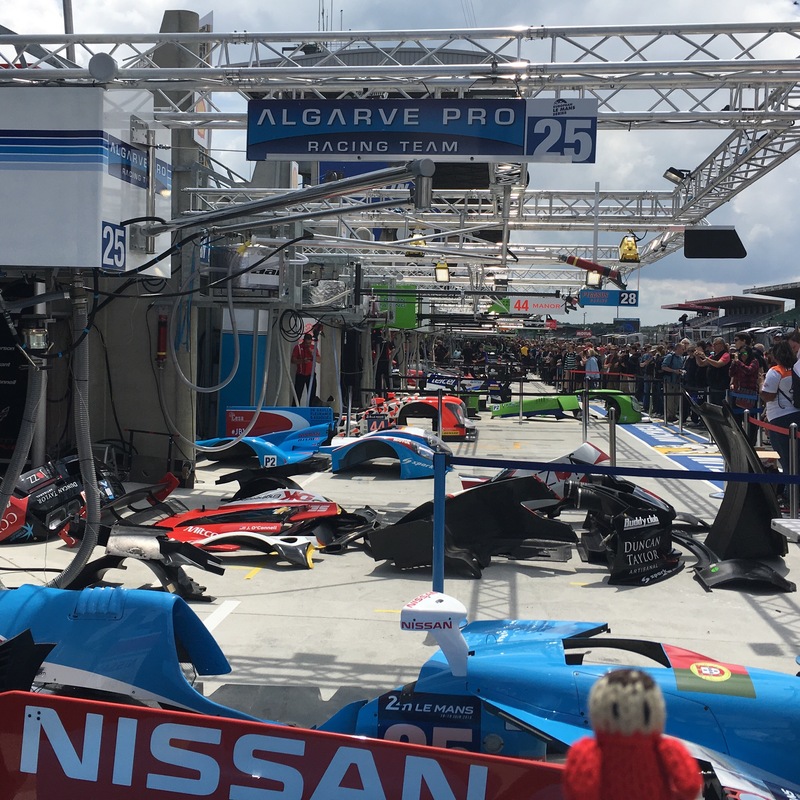 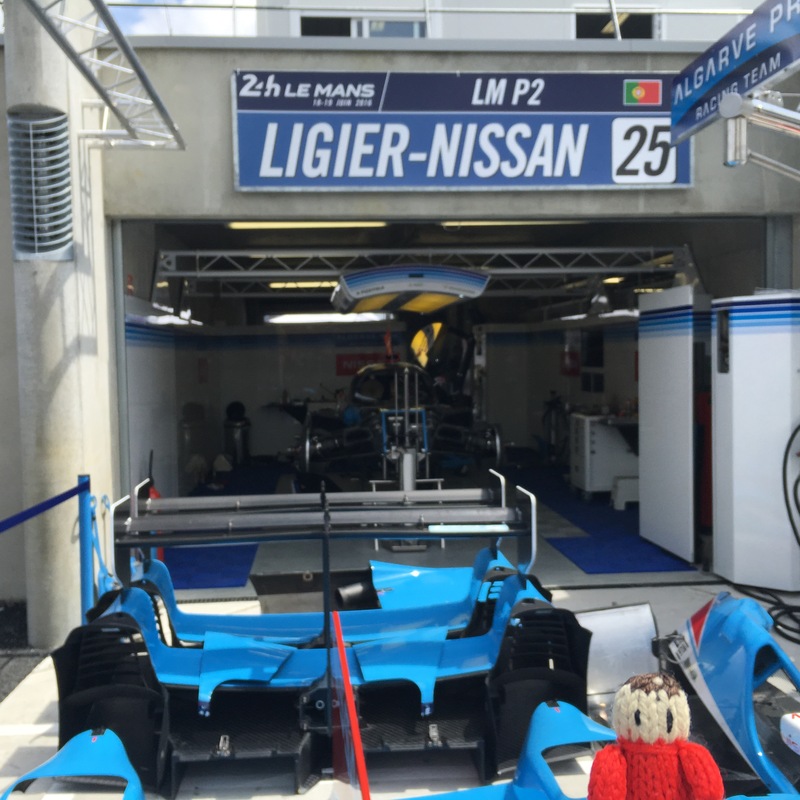 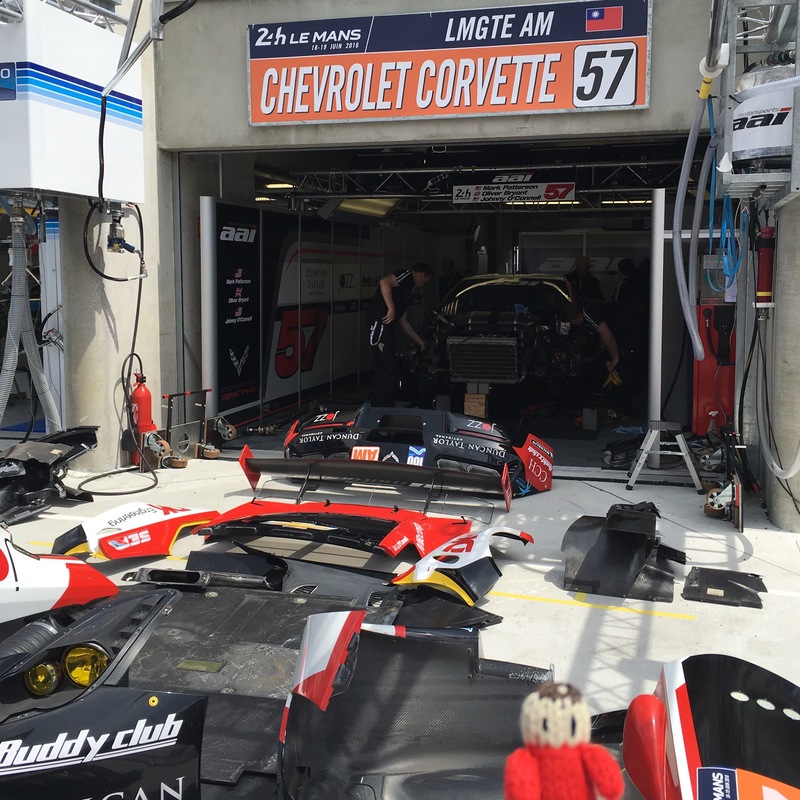 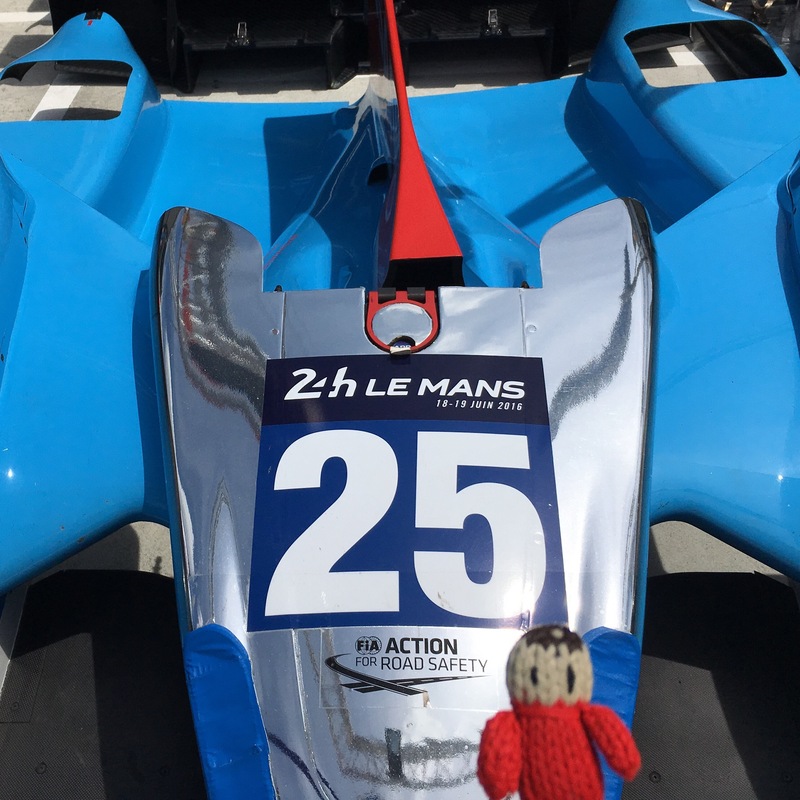 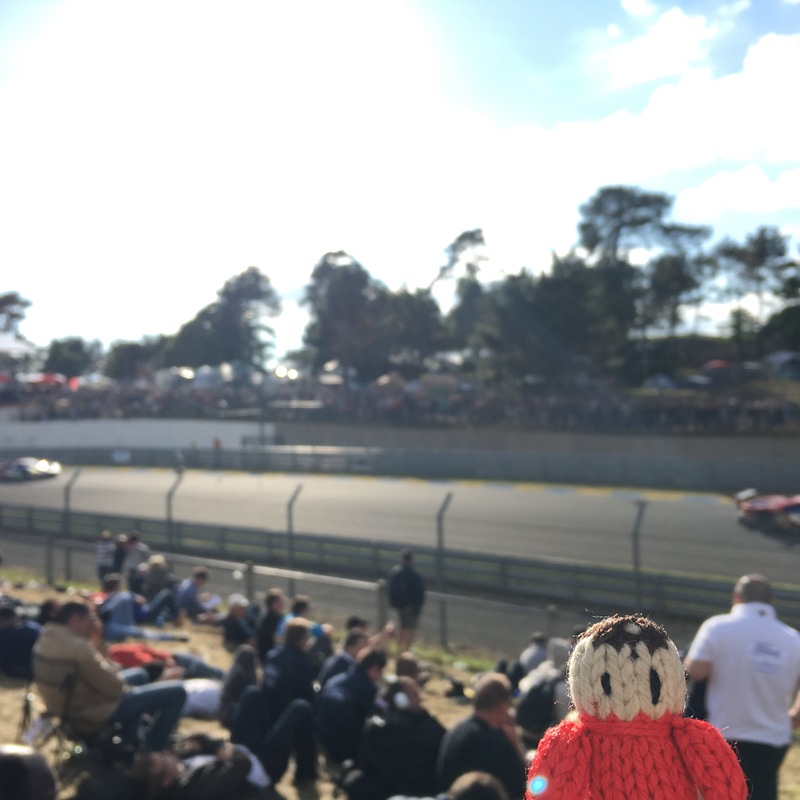 As always we were supporting Corvette Racing in LMGTE Pro and the two other Corvettes in LMGTE Am, but I was also excited by the Algarve Pro Racing number 25 car in LMP2 that has Sir Chris Hoy as one of its drivers! 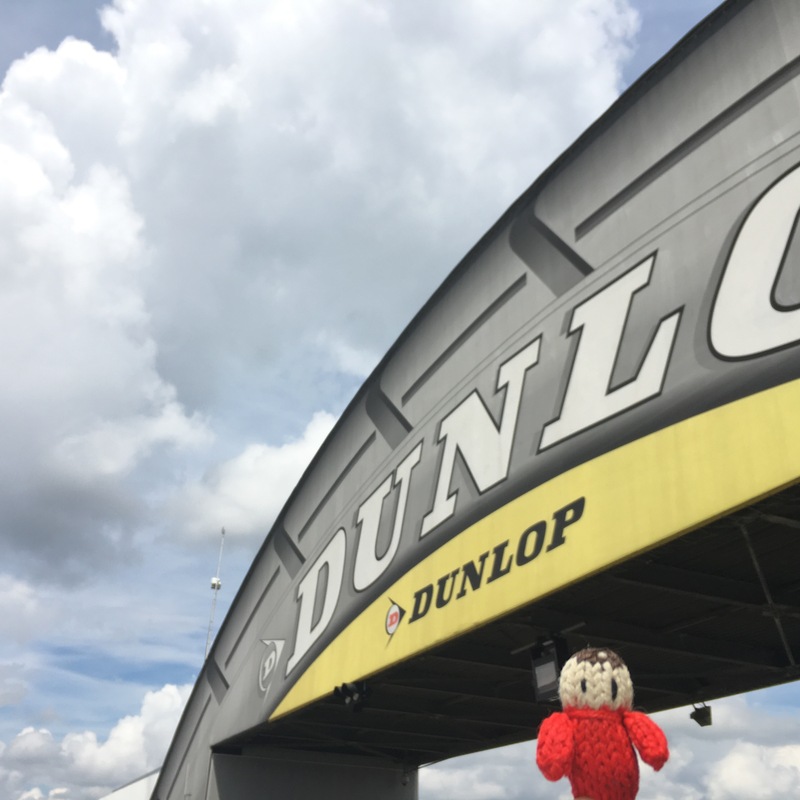 After walking down the pit lane we could go on the track up to the Dunlop Bridge. 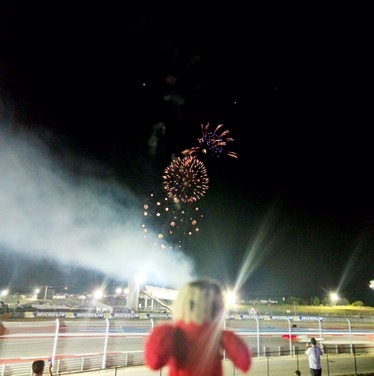 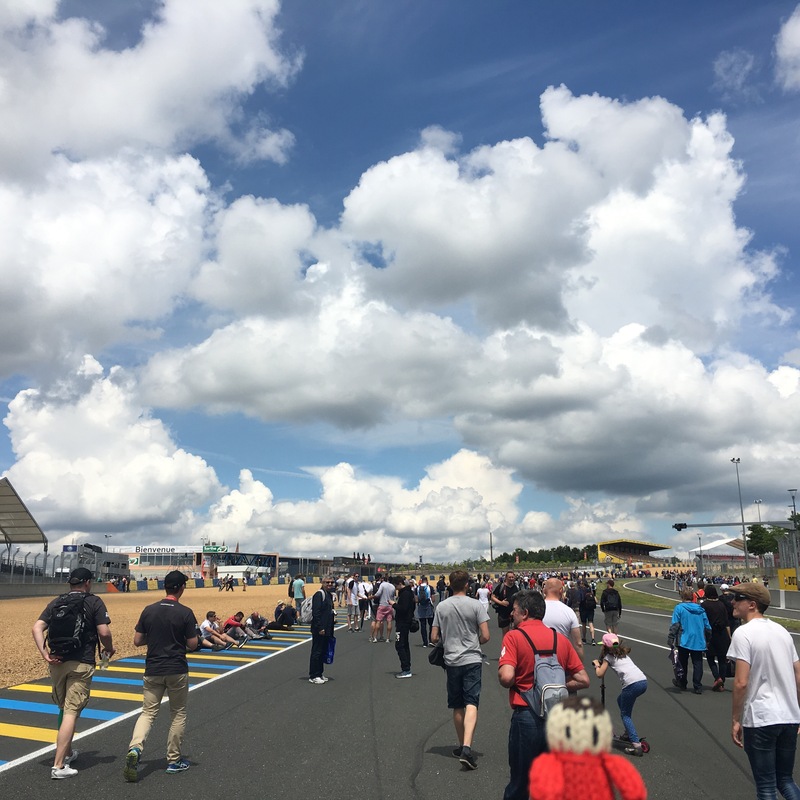 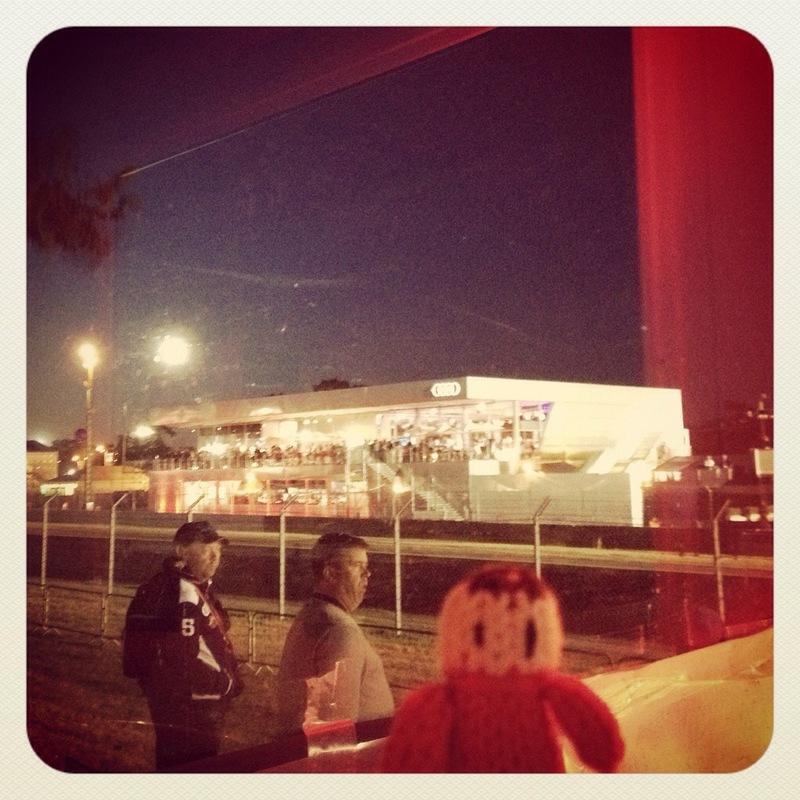 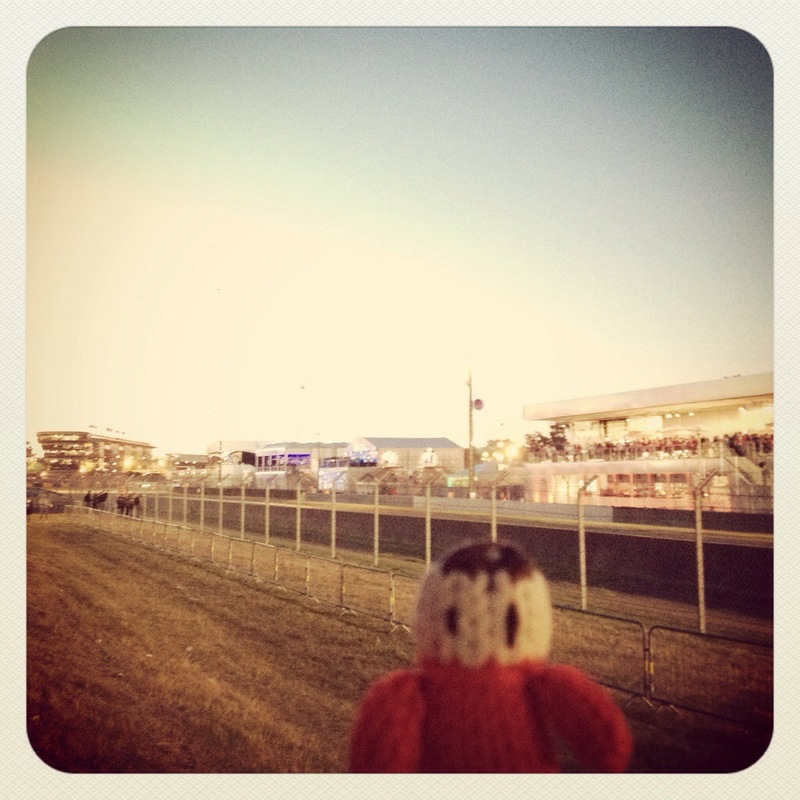 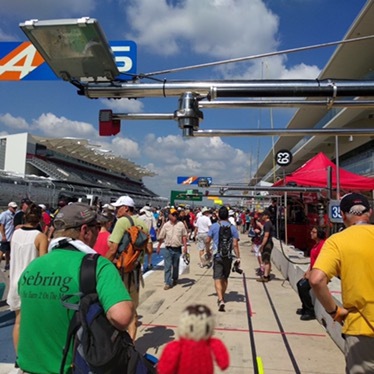 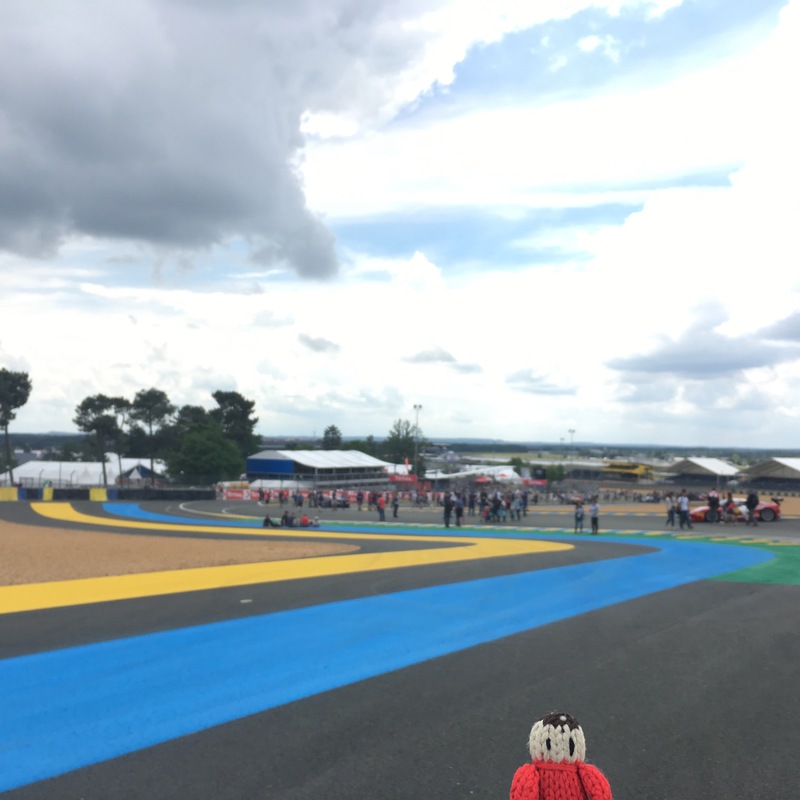 It was fun to walk on the circuit! 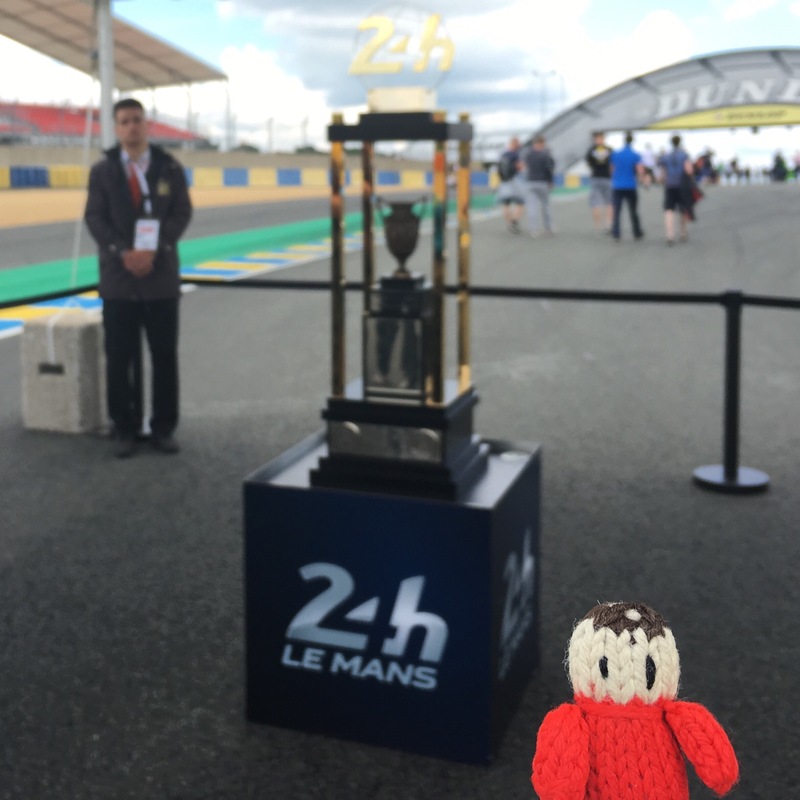 We also got to see the race winners trophy. 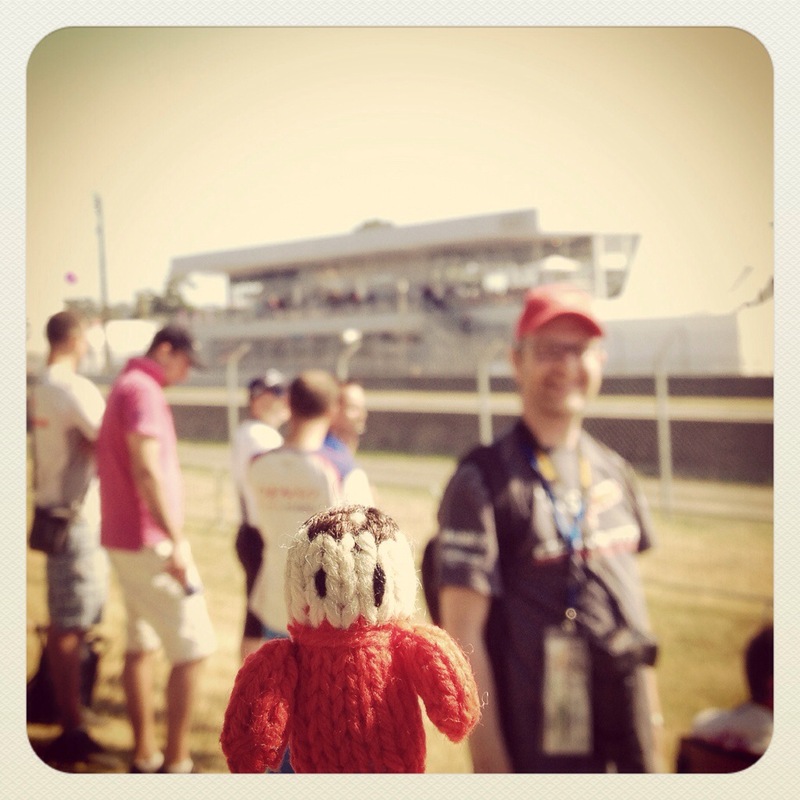 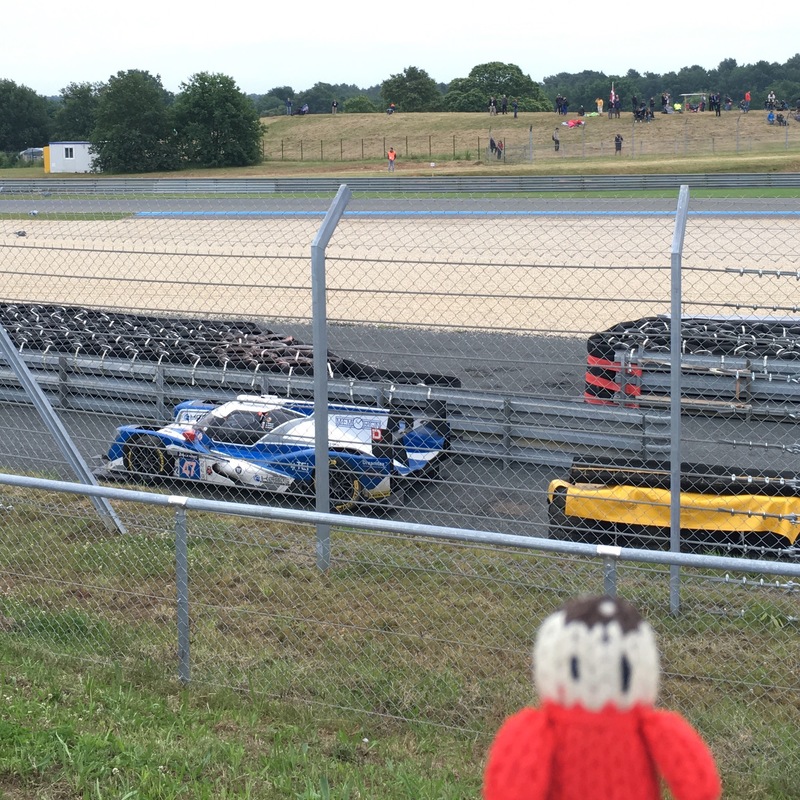 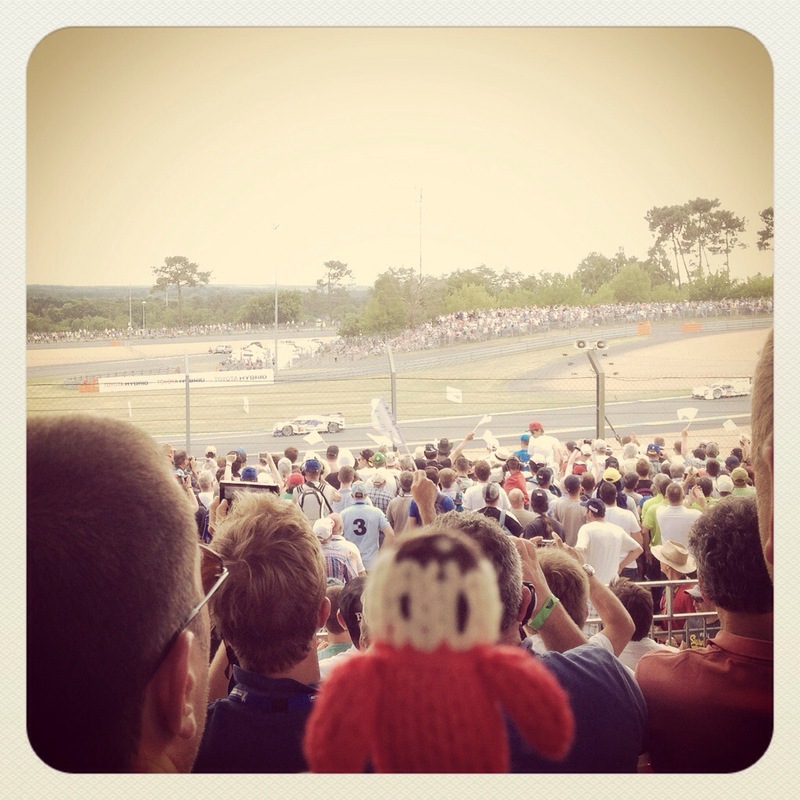 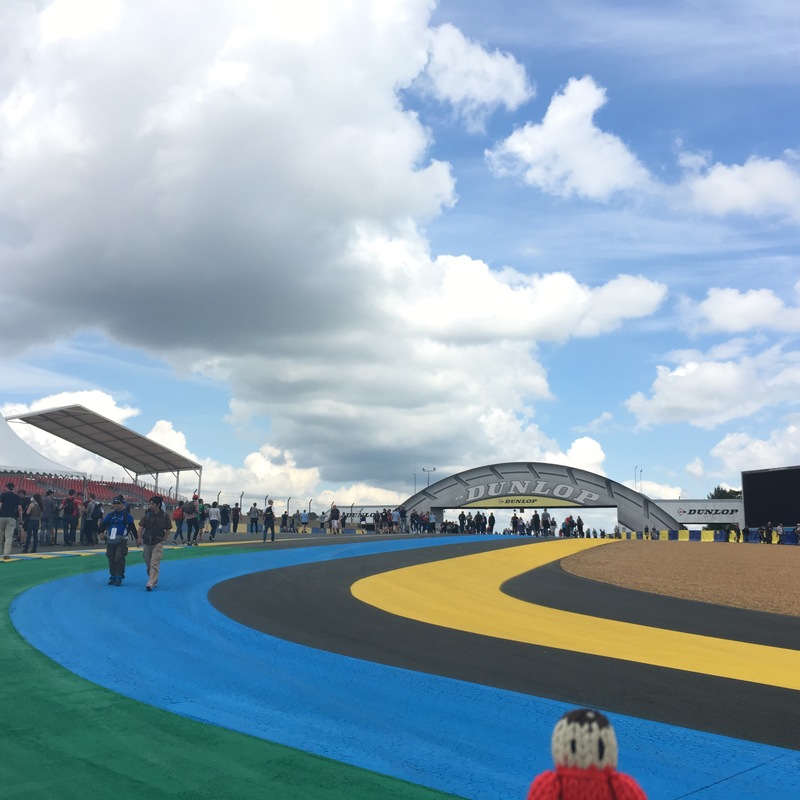 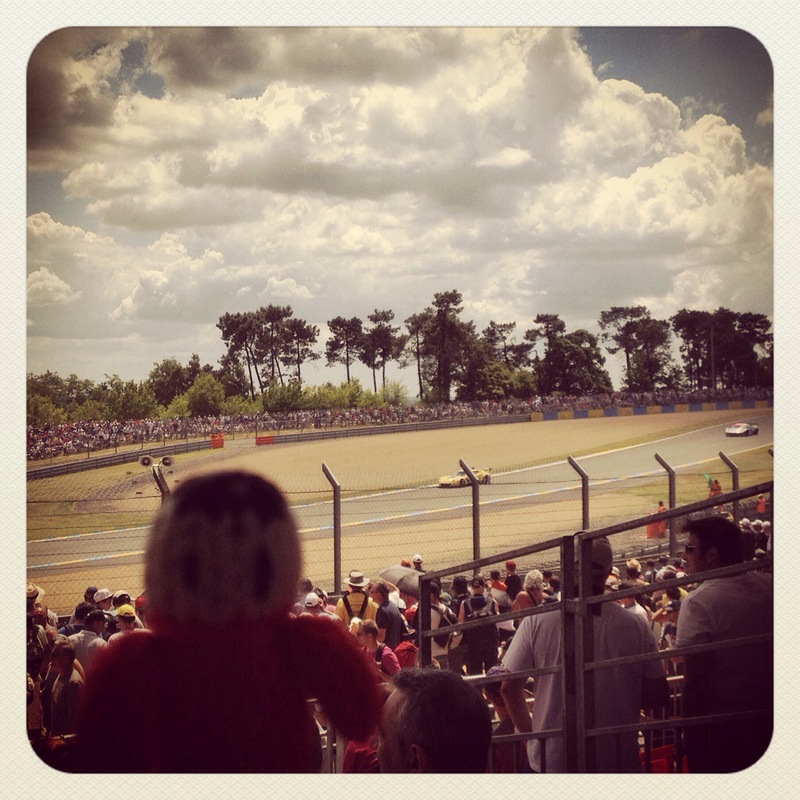 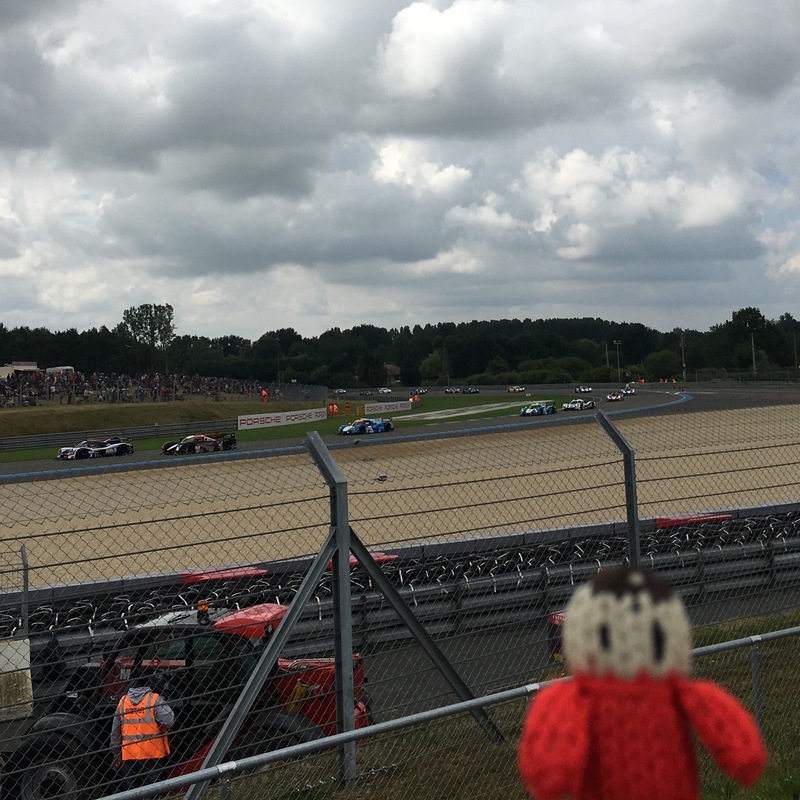 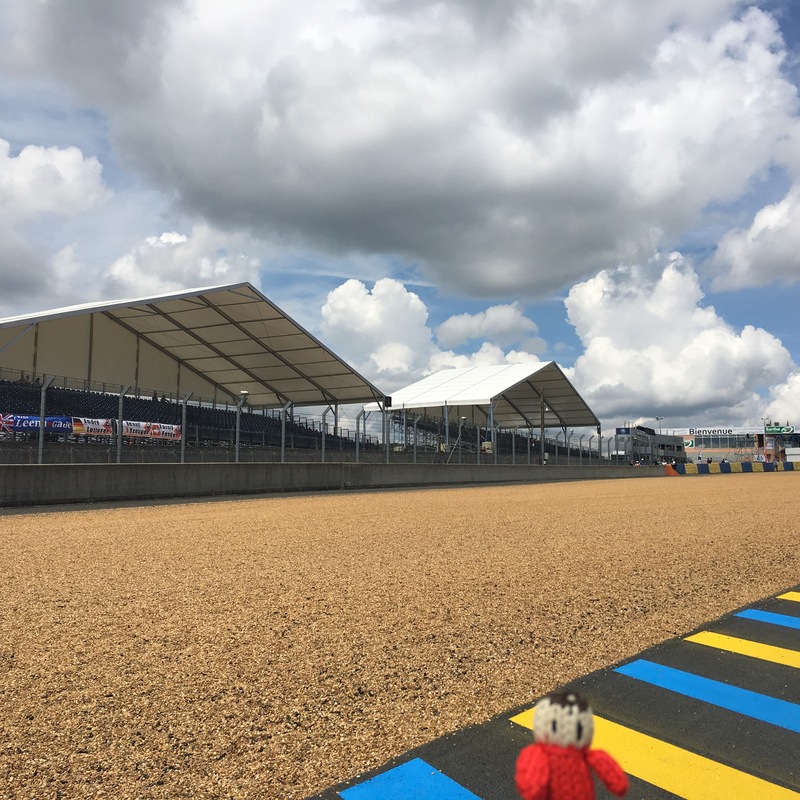 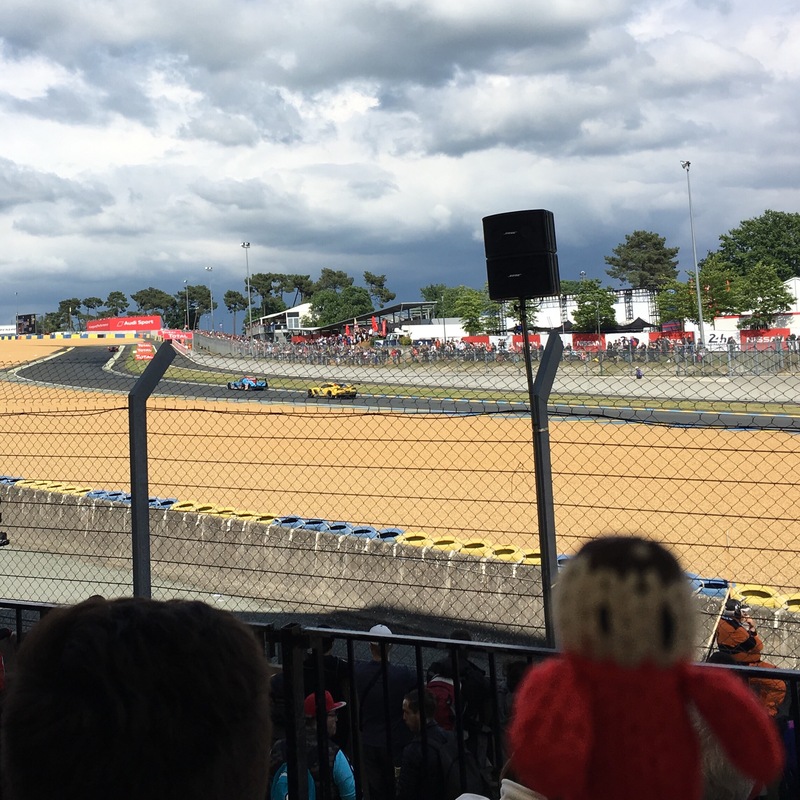 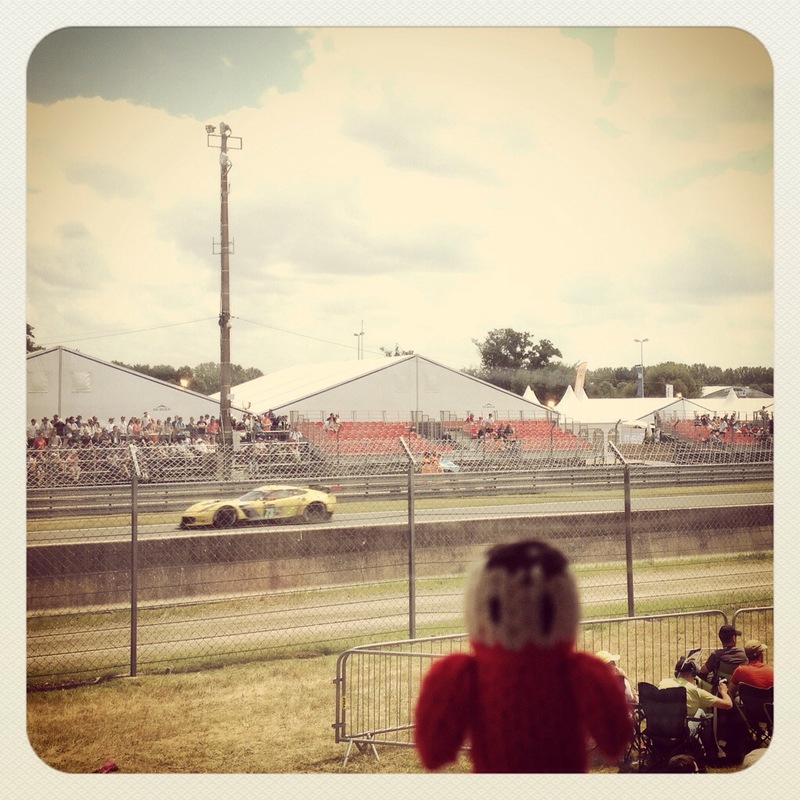 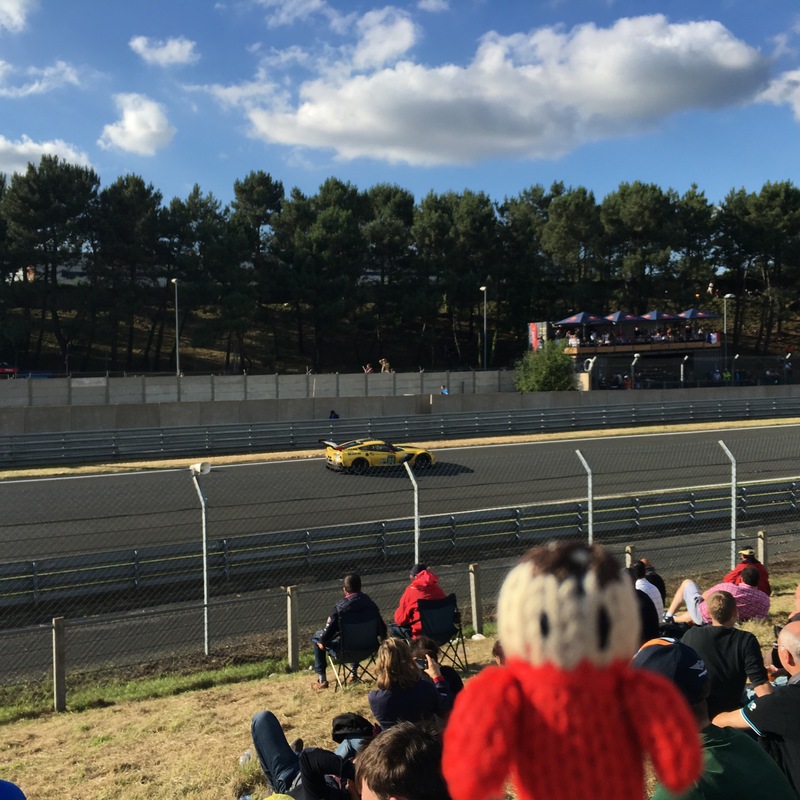 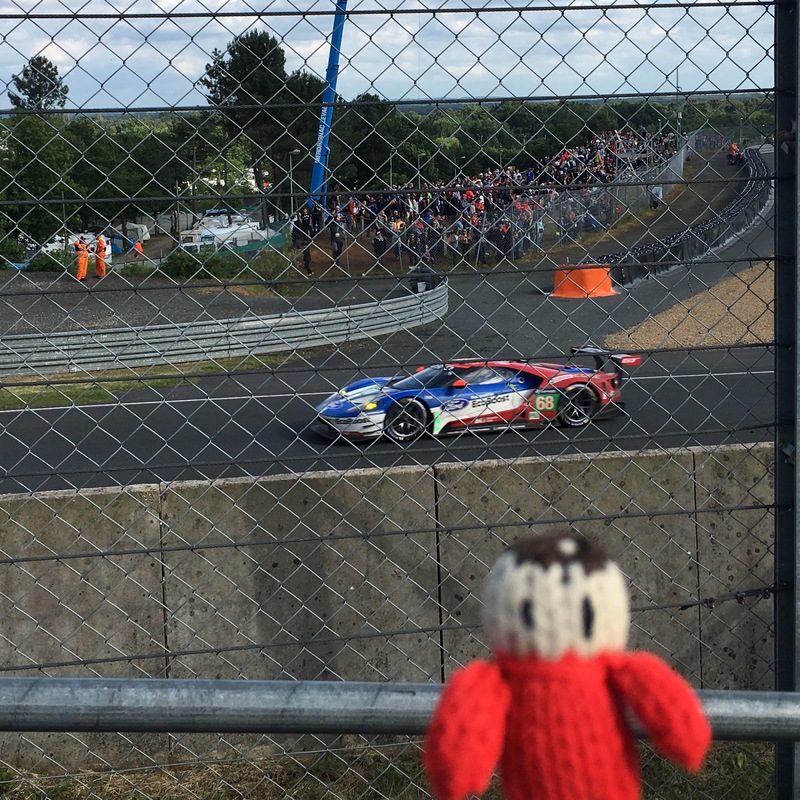 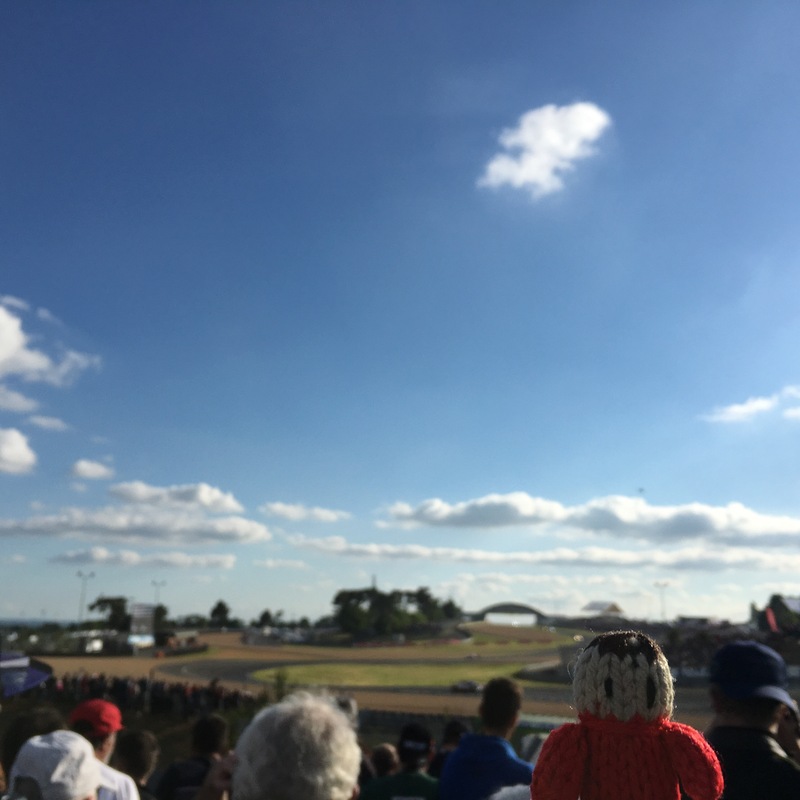 On Saturday morning we watched the support races from the Porsche Curves. 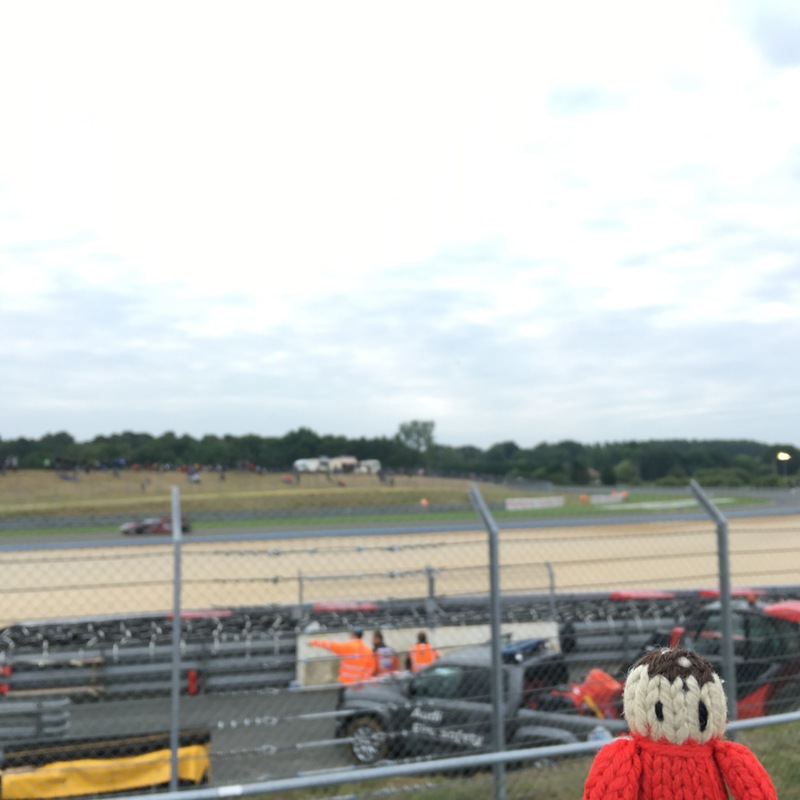 Now we just had a couple of hours to wait until the race start! 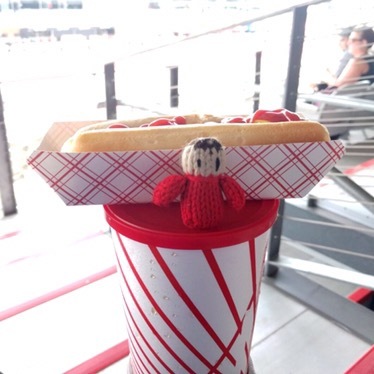 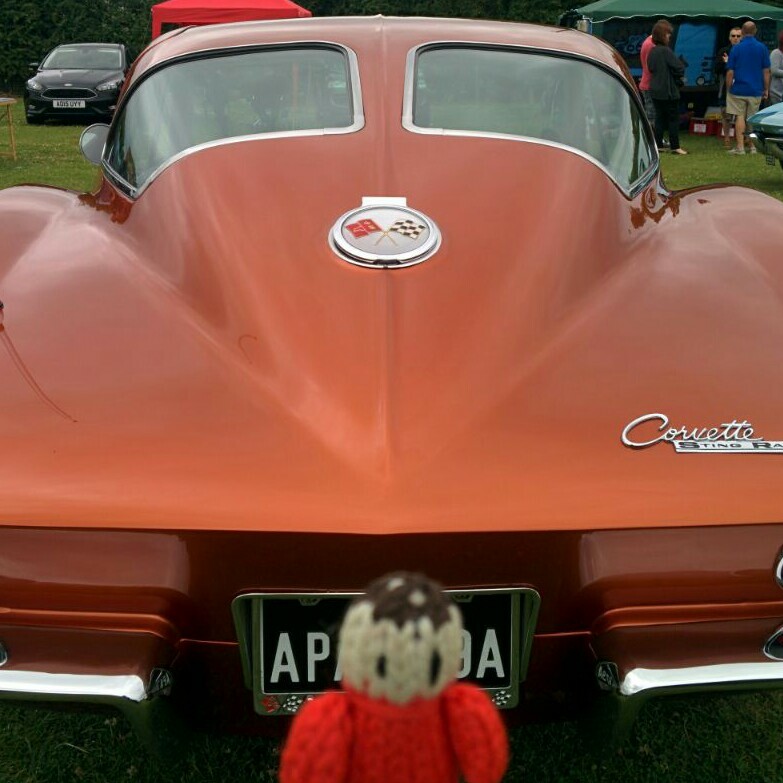 It was the Corvette Nationals today, Pauly took me with him for a day out. 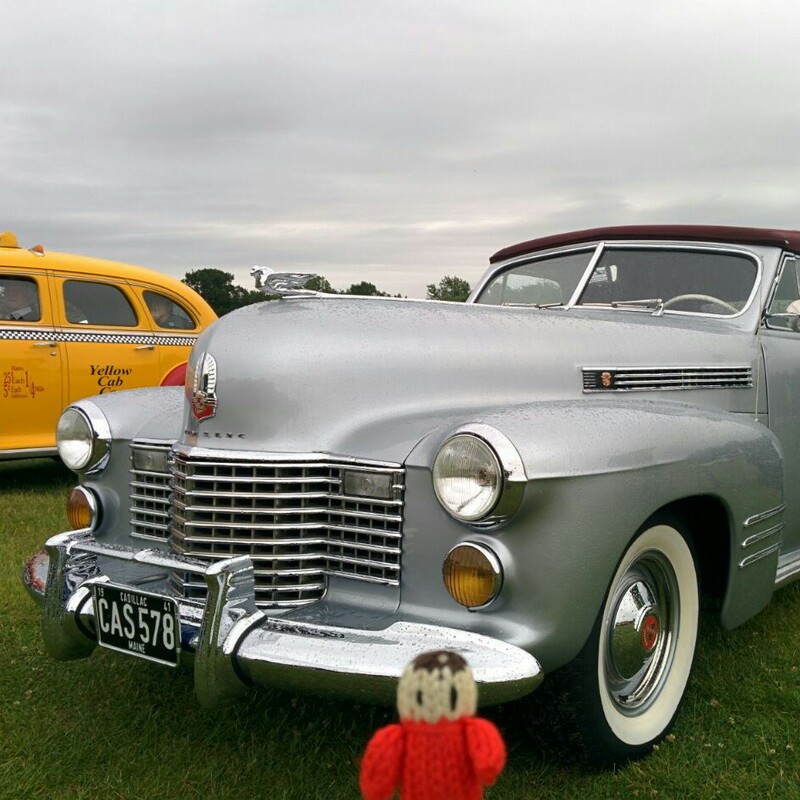 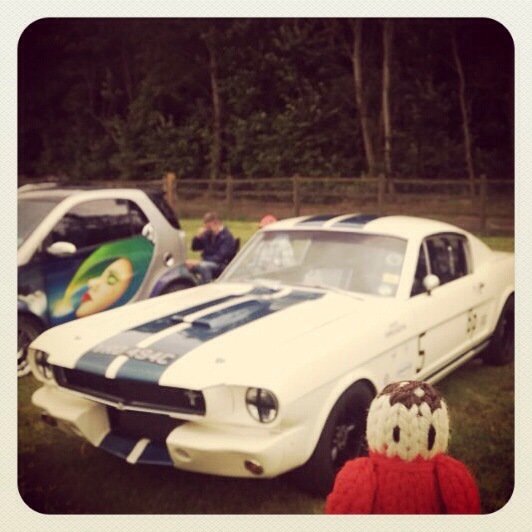 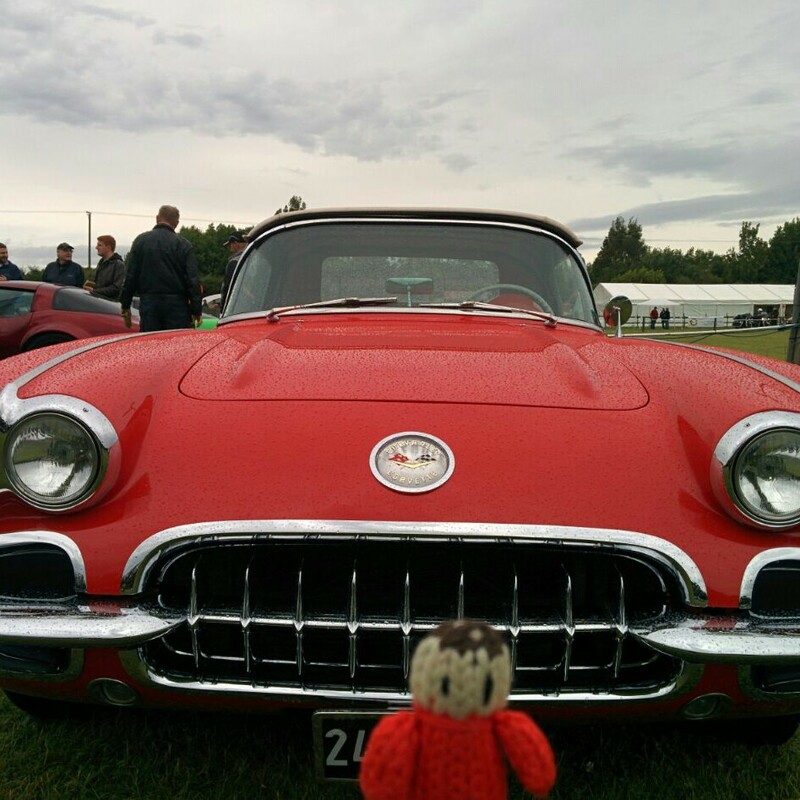 We saw some really nice cars, it was a bit wet, but that didn’t spoil our day. 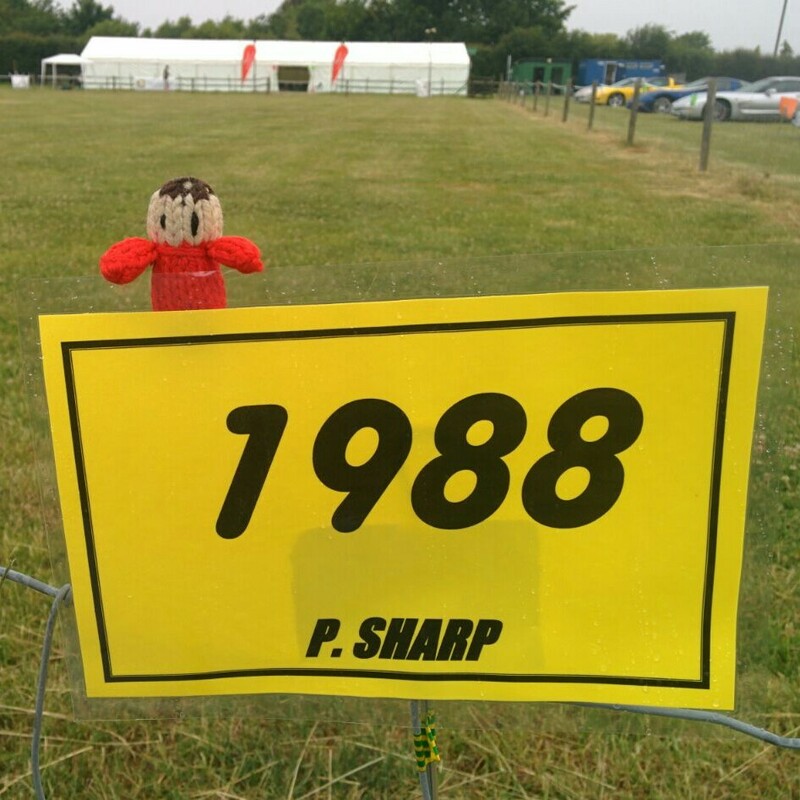 We were representing 1988 in the year order display of cars, we had a special sign! 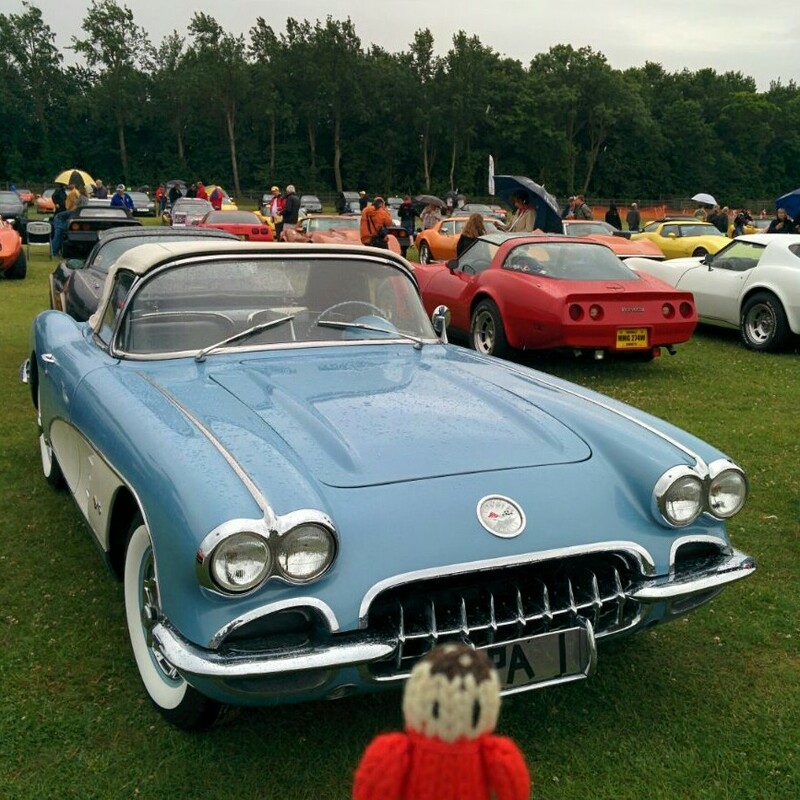 These are some of the corvettes we liked. 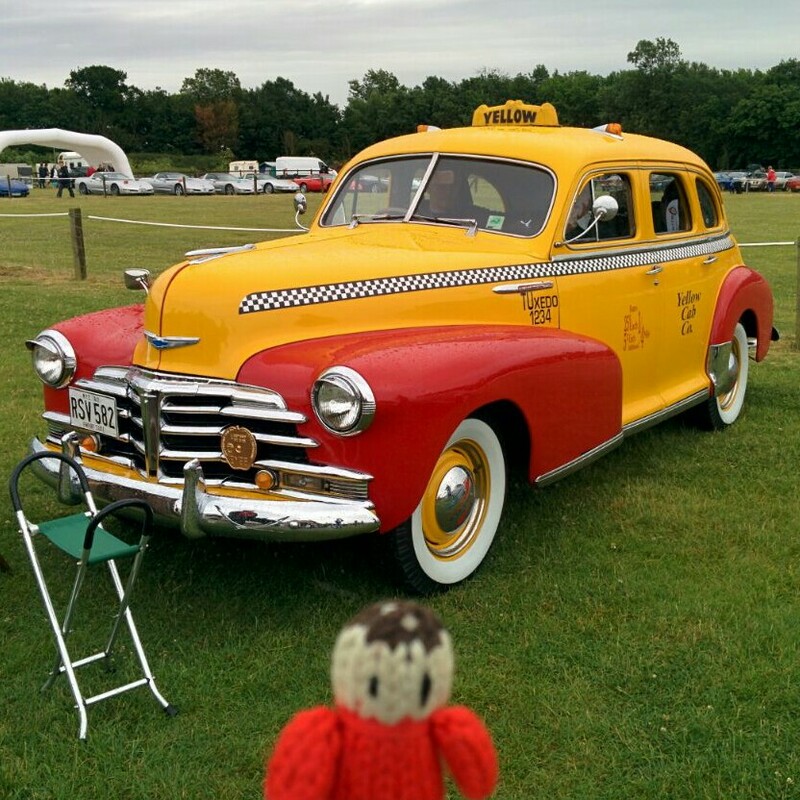 We also saw some other cars, I loved this taxi! 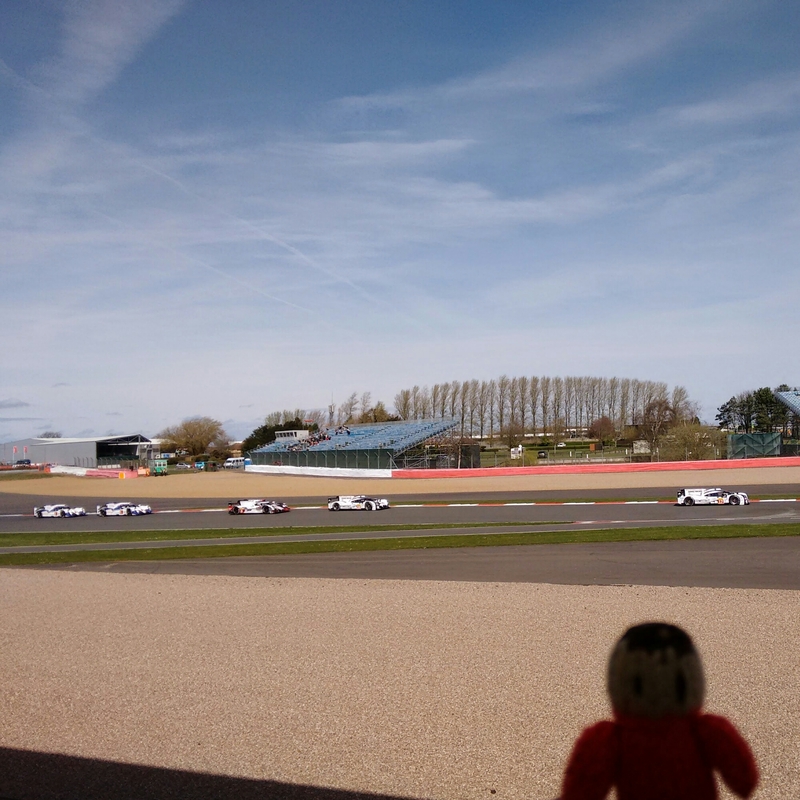 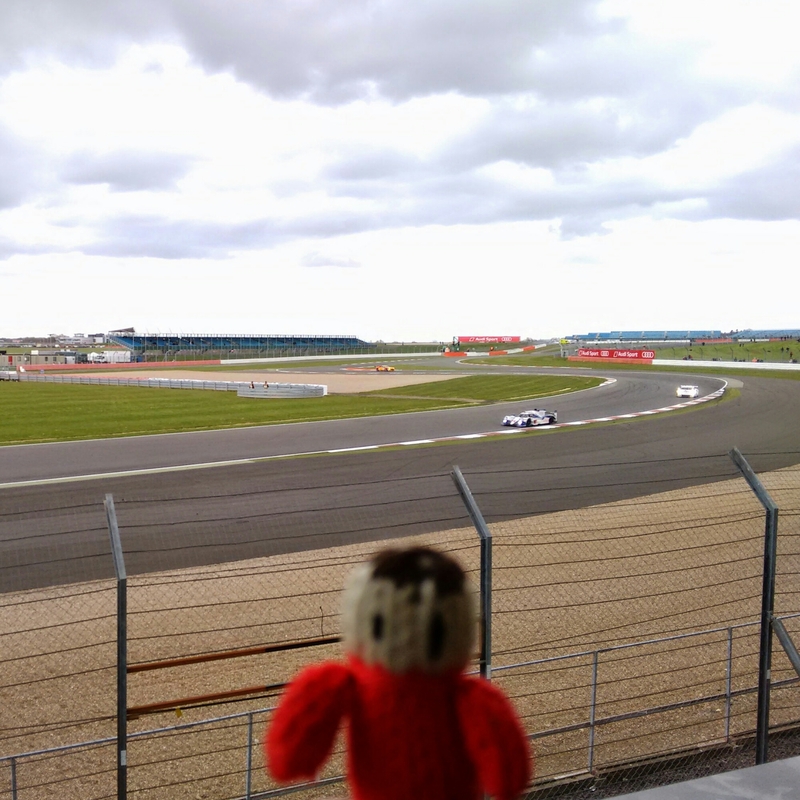 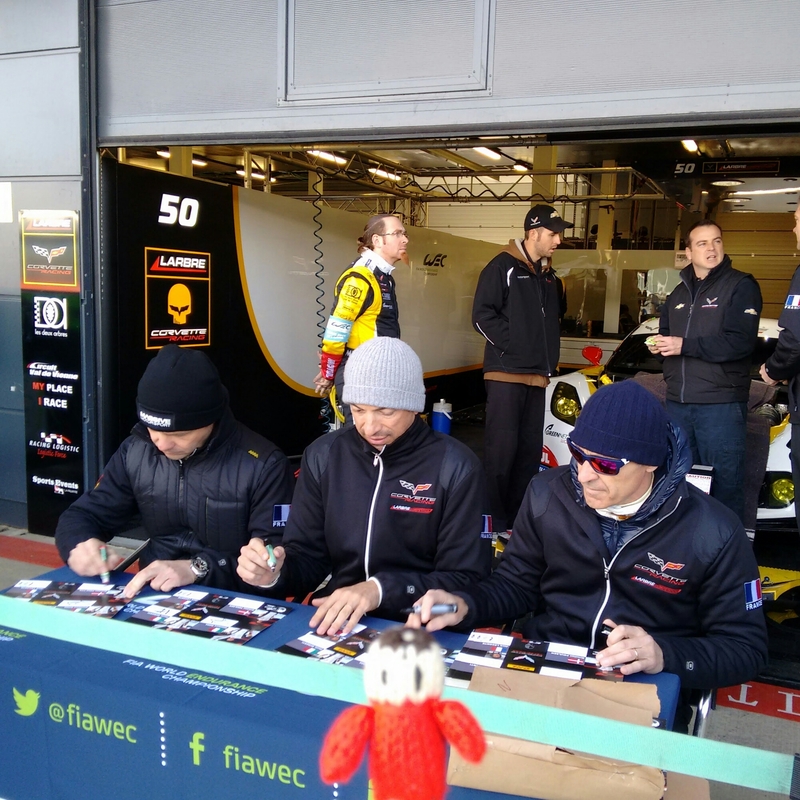 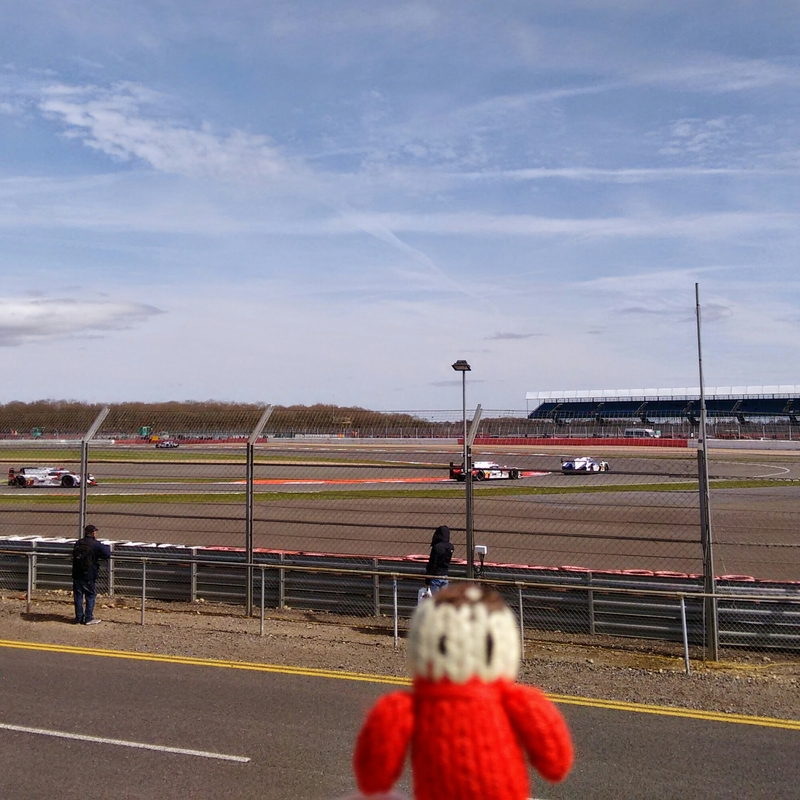 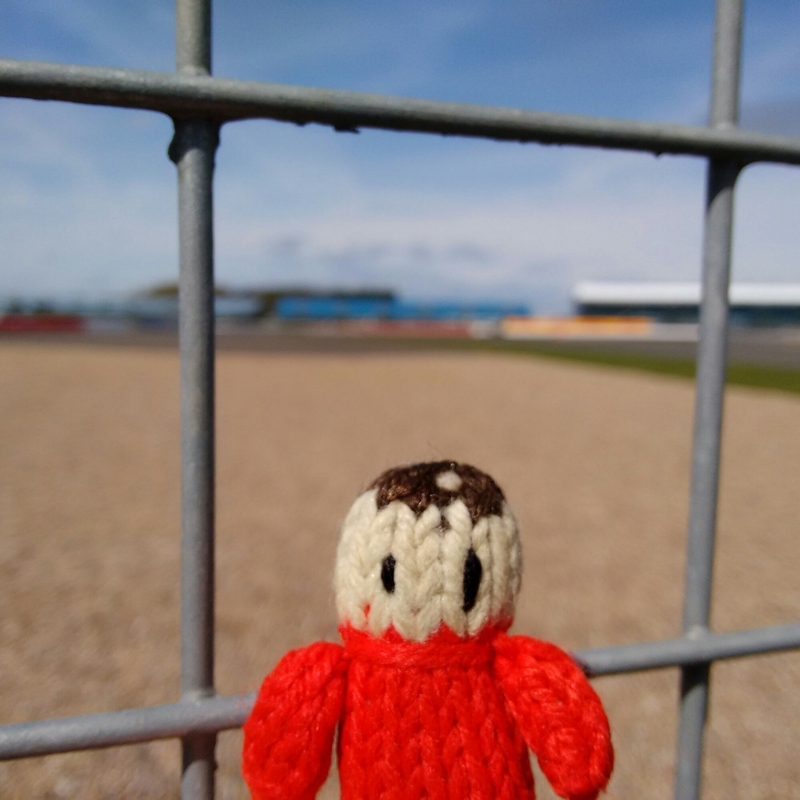 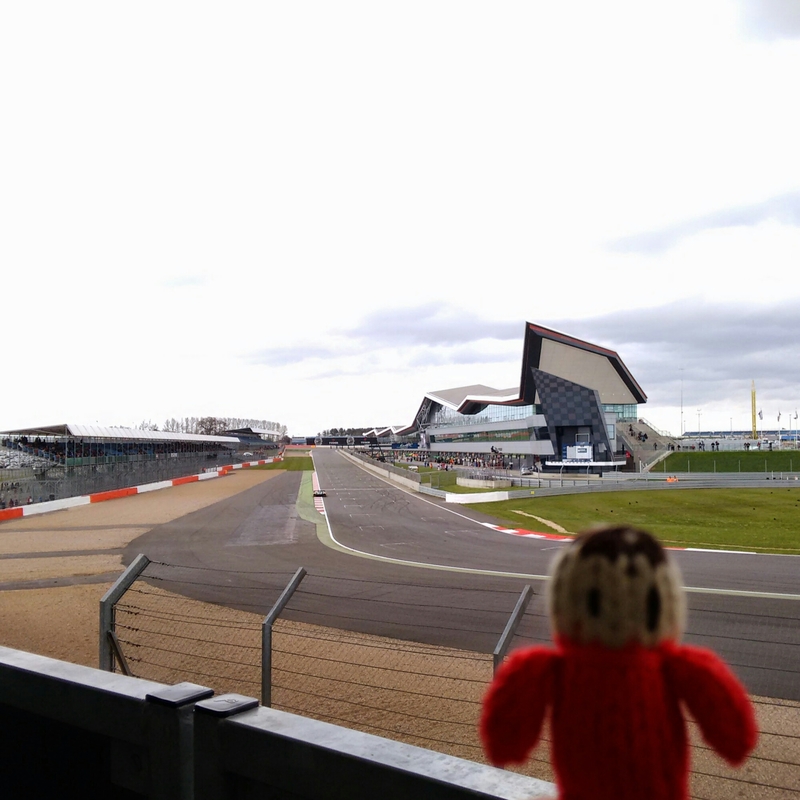 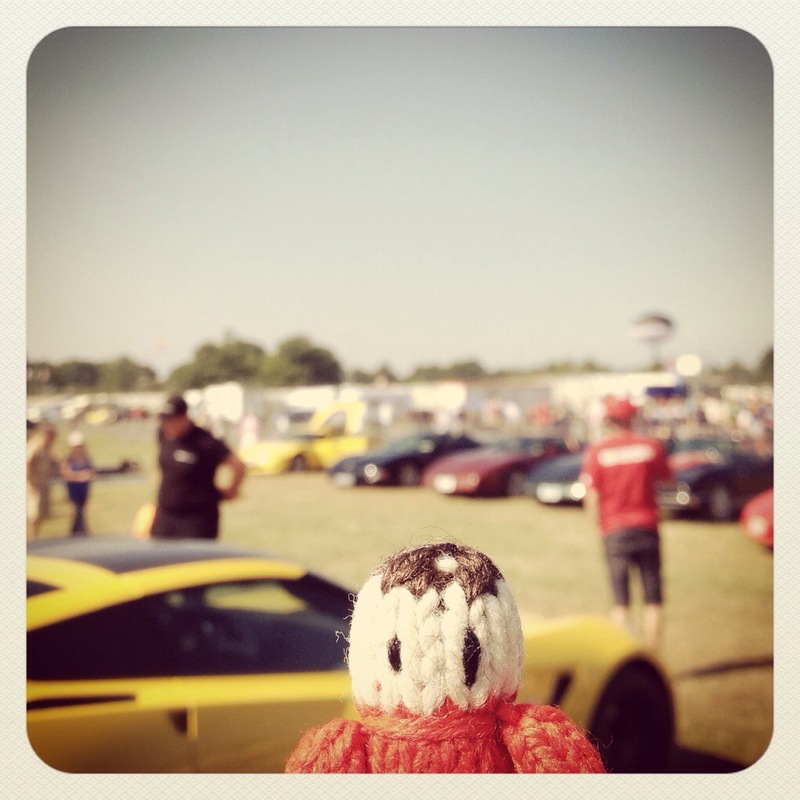 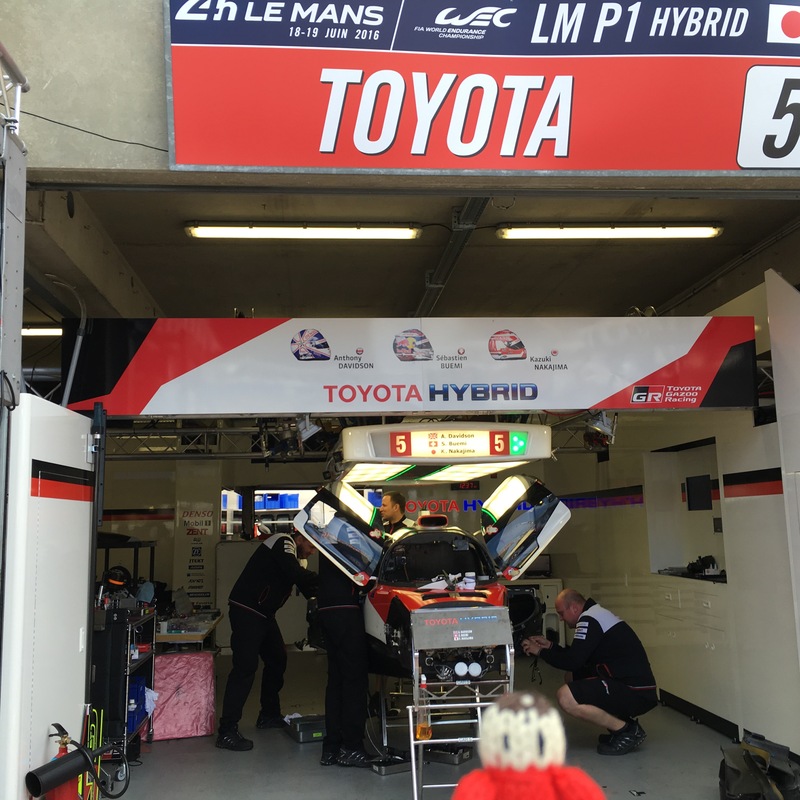 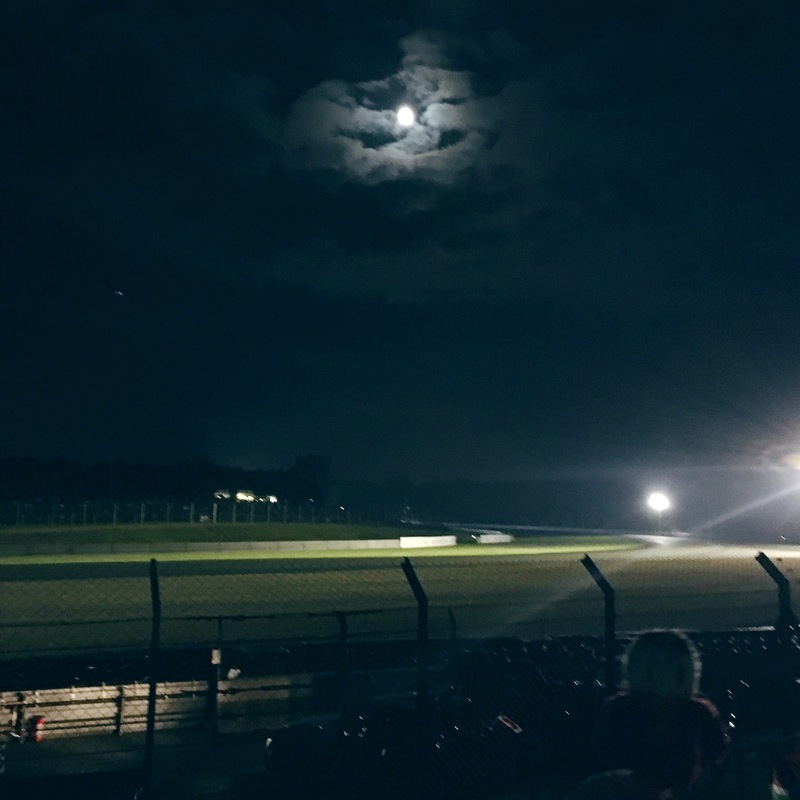 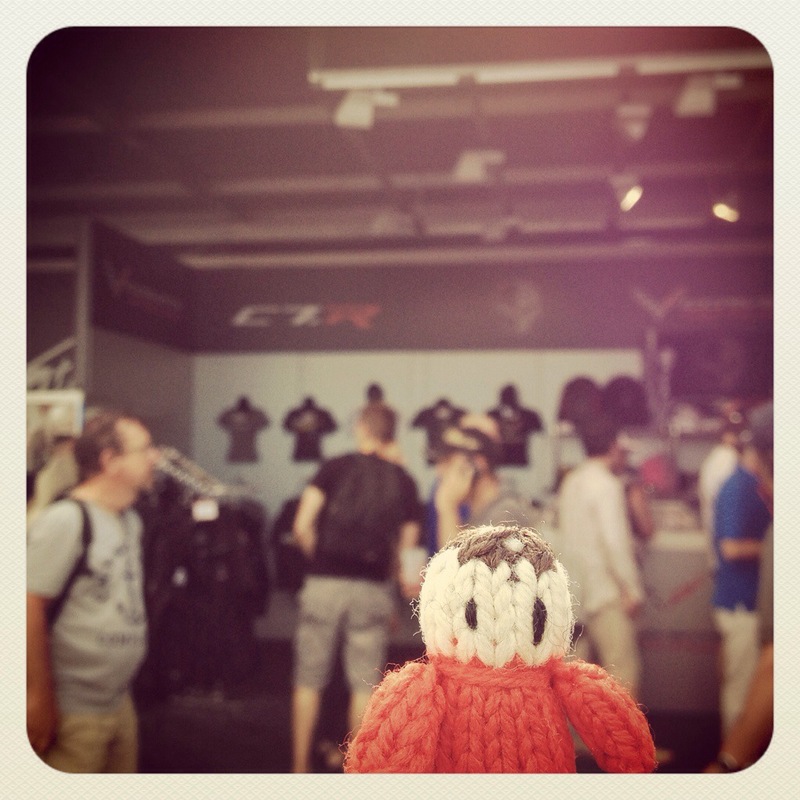 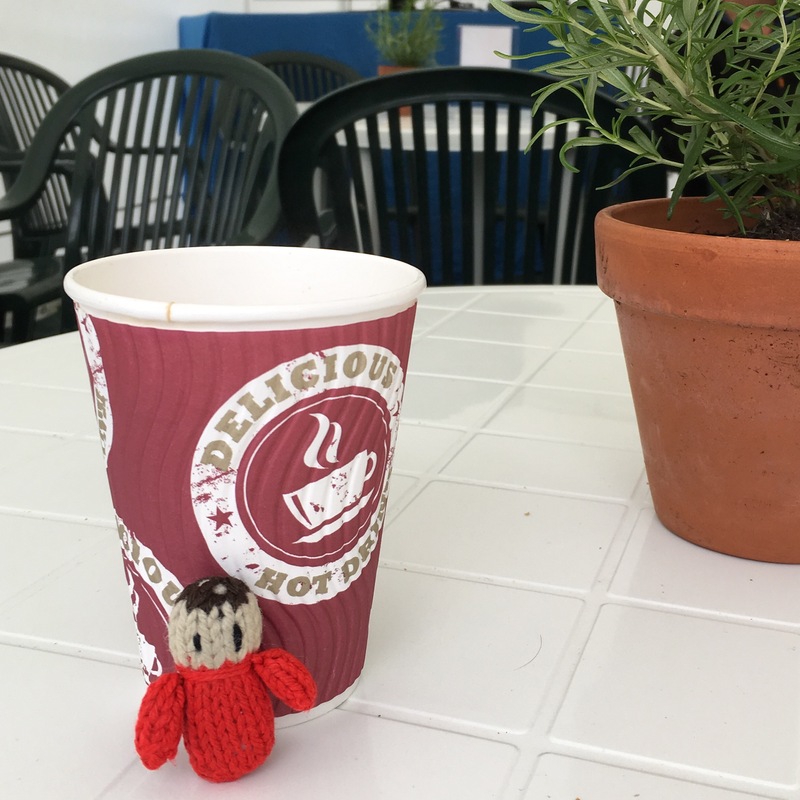 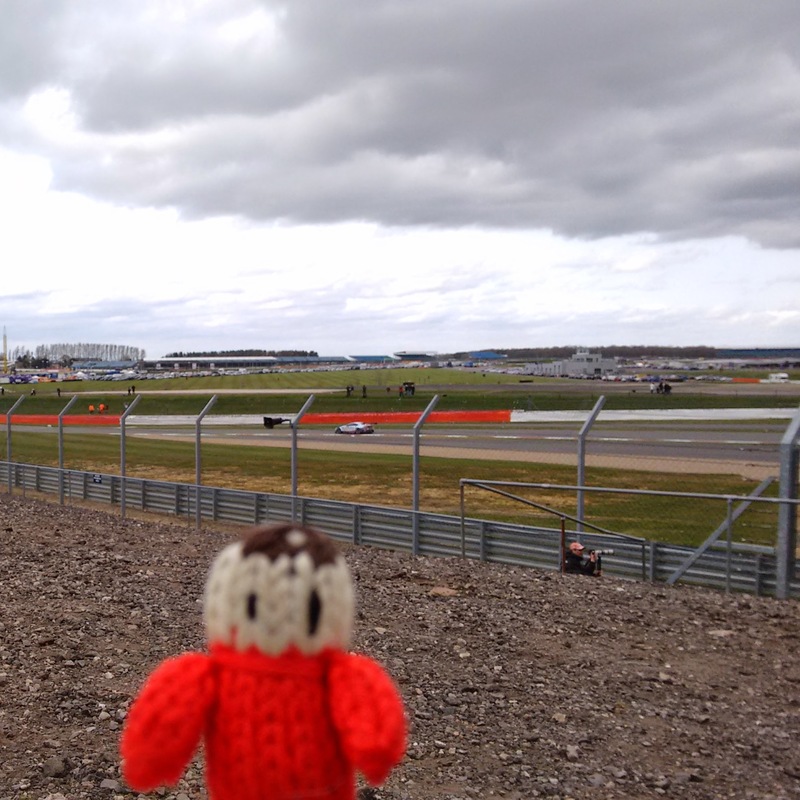 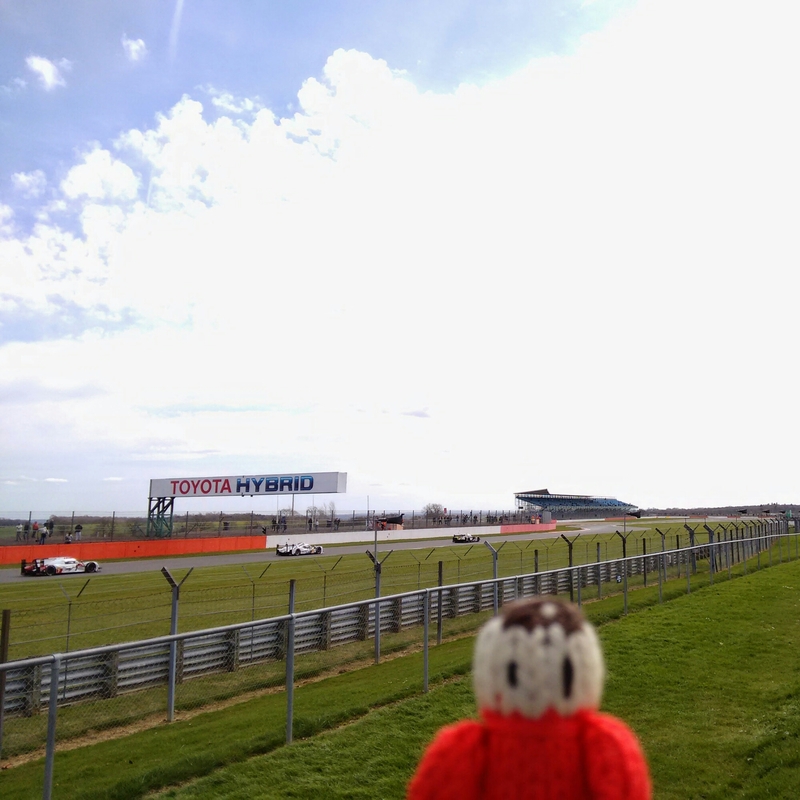 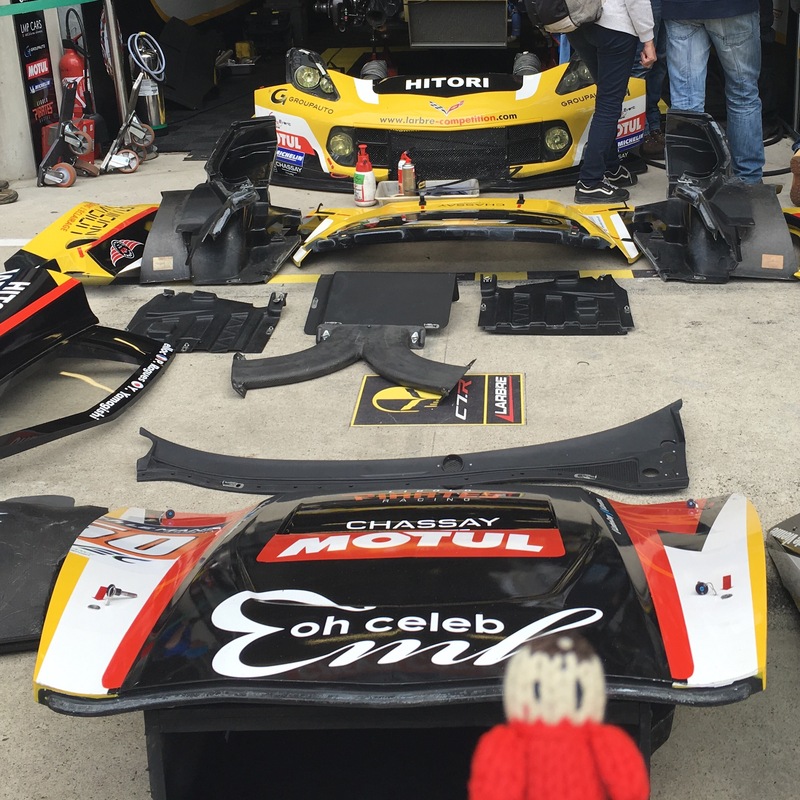 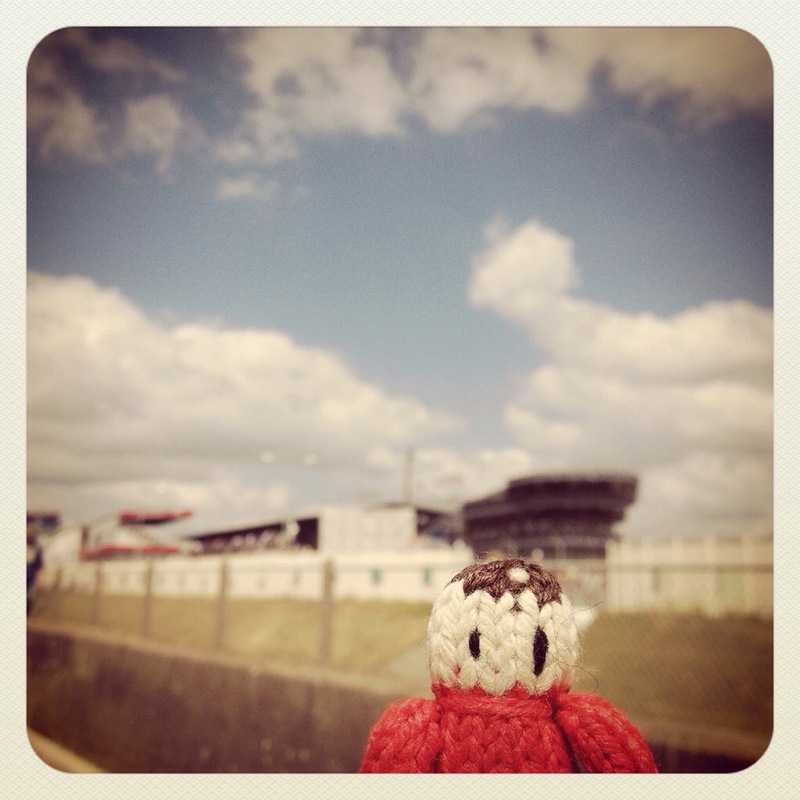 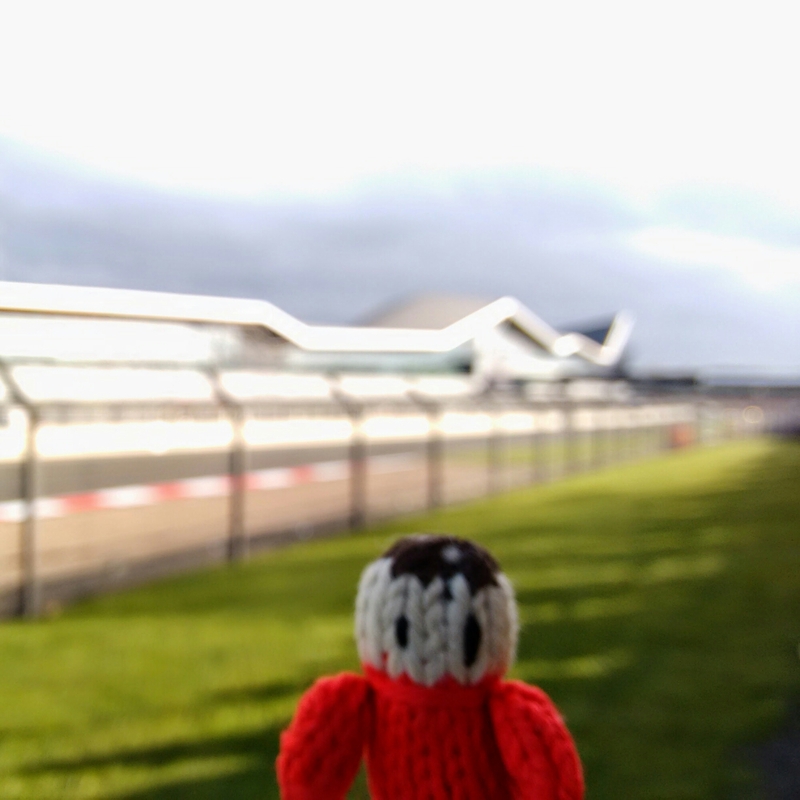 Last weekend we went to Silverstone for the 6 hour WEC race. 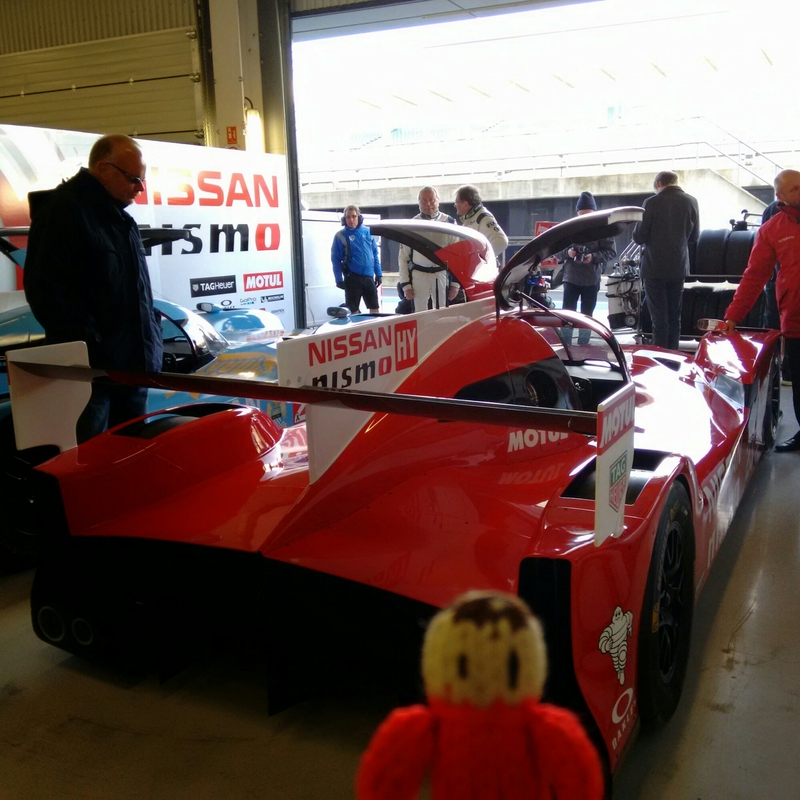 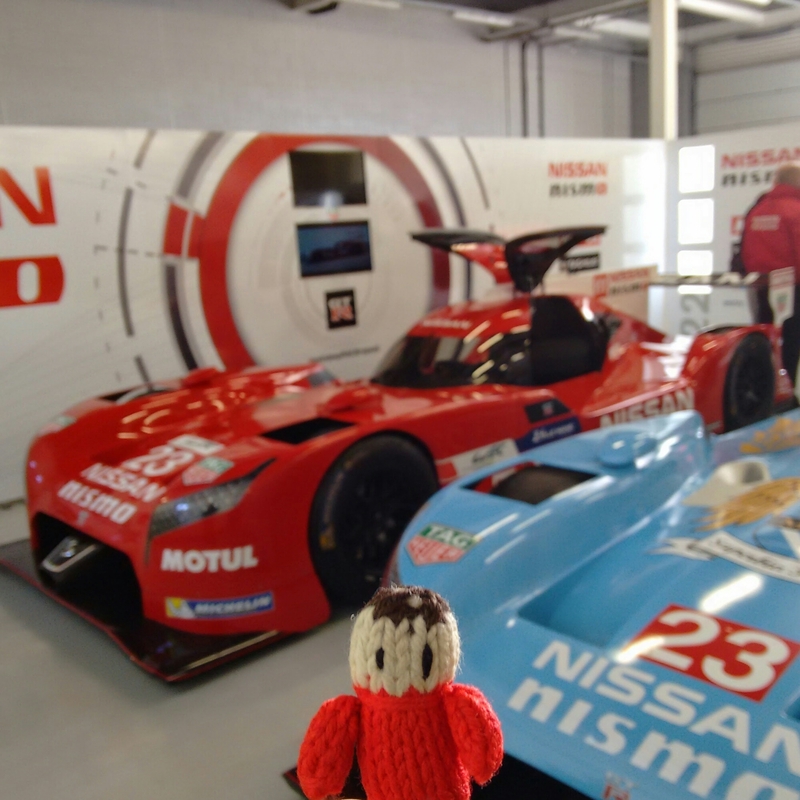 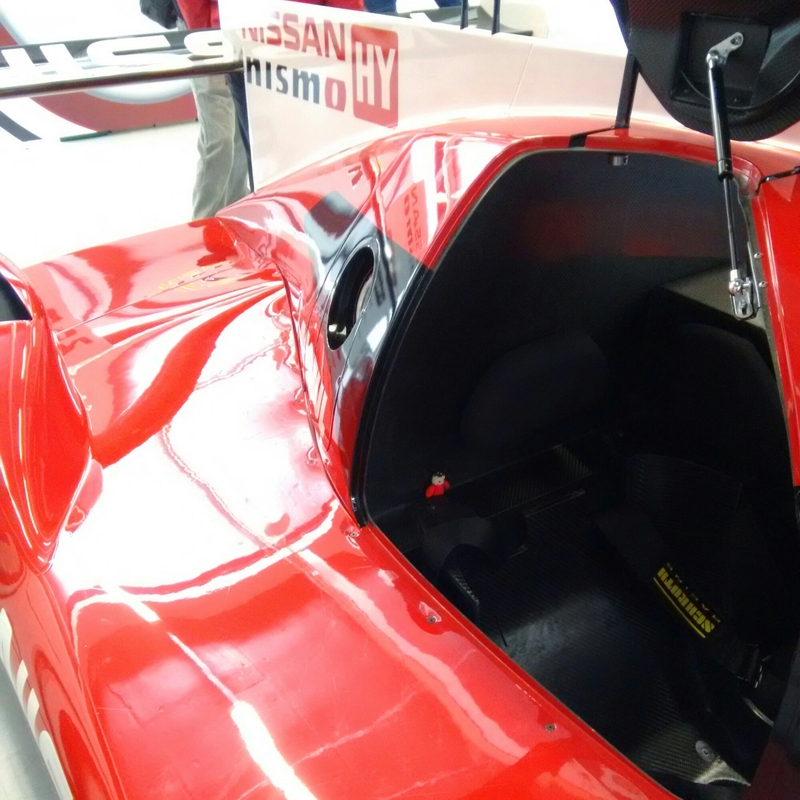 We got to see the new Nissan GT-R LM, which was quite exciting even if it wasn’t racing that weekend. 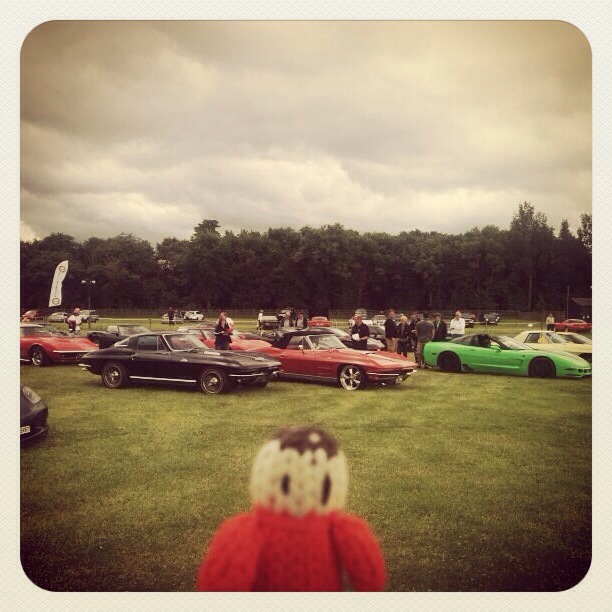 I even got to sit in the car! 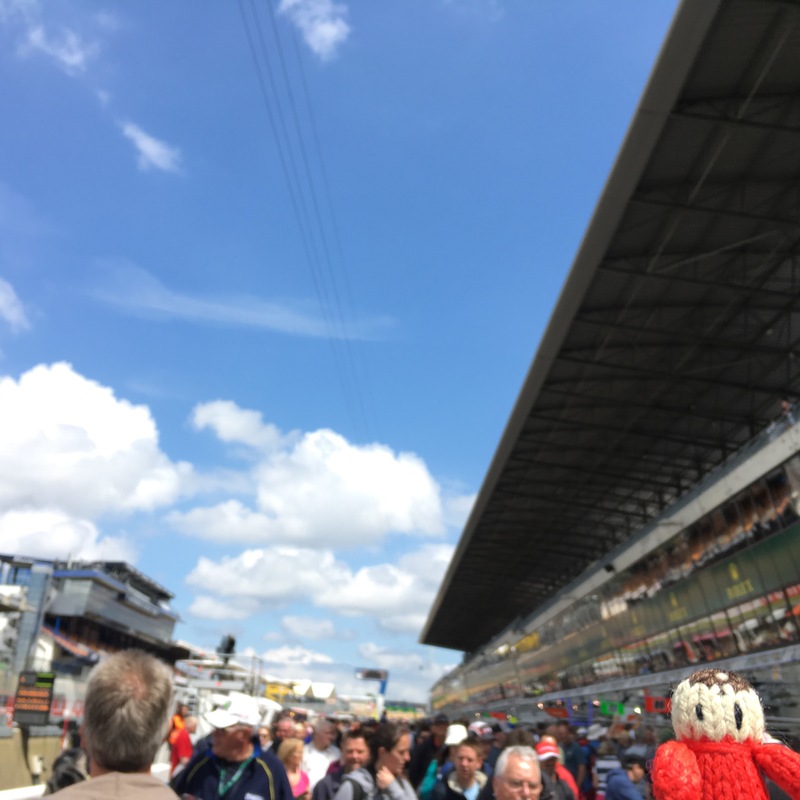 We had tickets for the pit walk, it was fun to see all the cars and drivers up close. 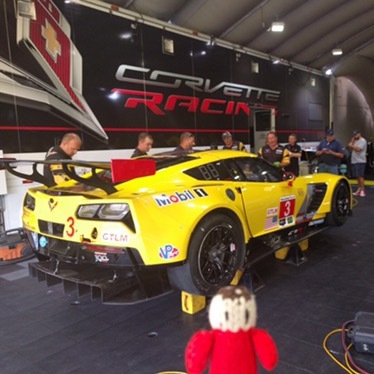 Here I am with the Larbre Corvette drivers. 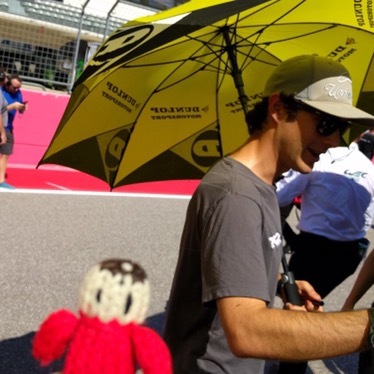 Zoë made me queue up for ages to see Patrick Dempsey. 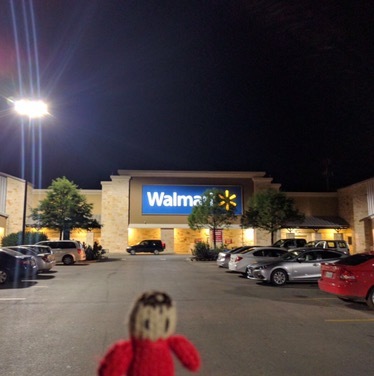 She was quite excited. 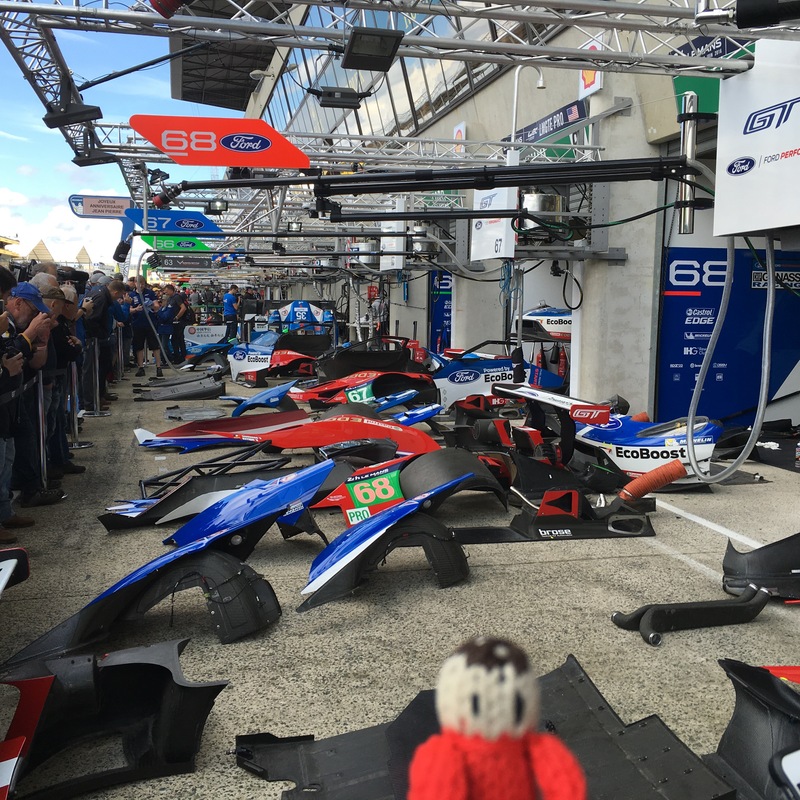 After the excitement of the pit walk it wasn’t long to wait for the race. 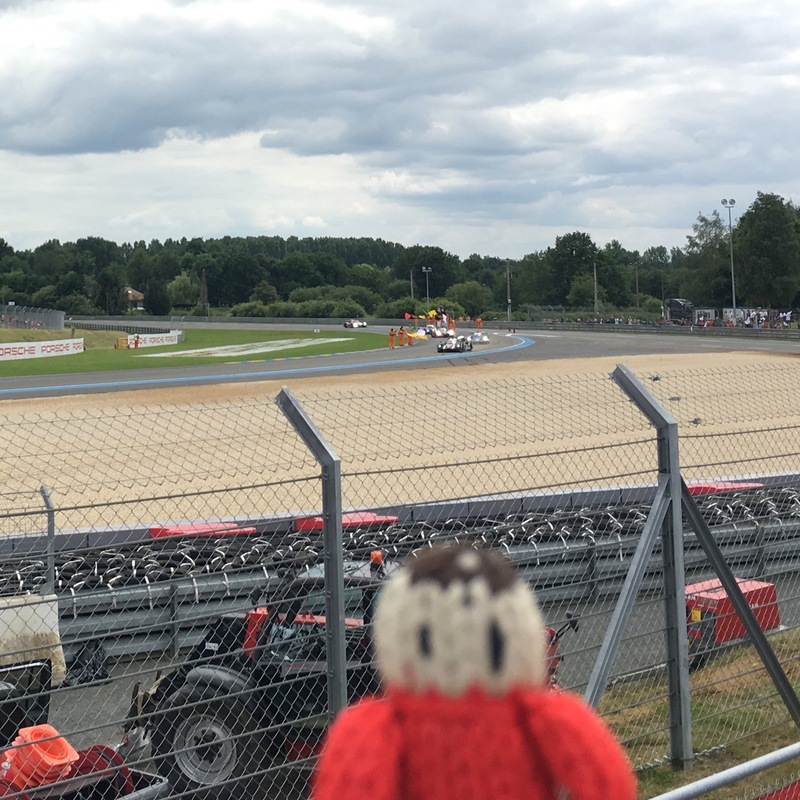 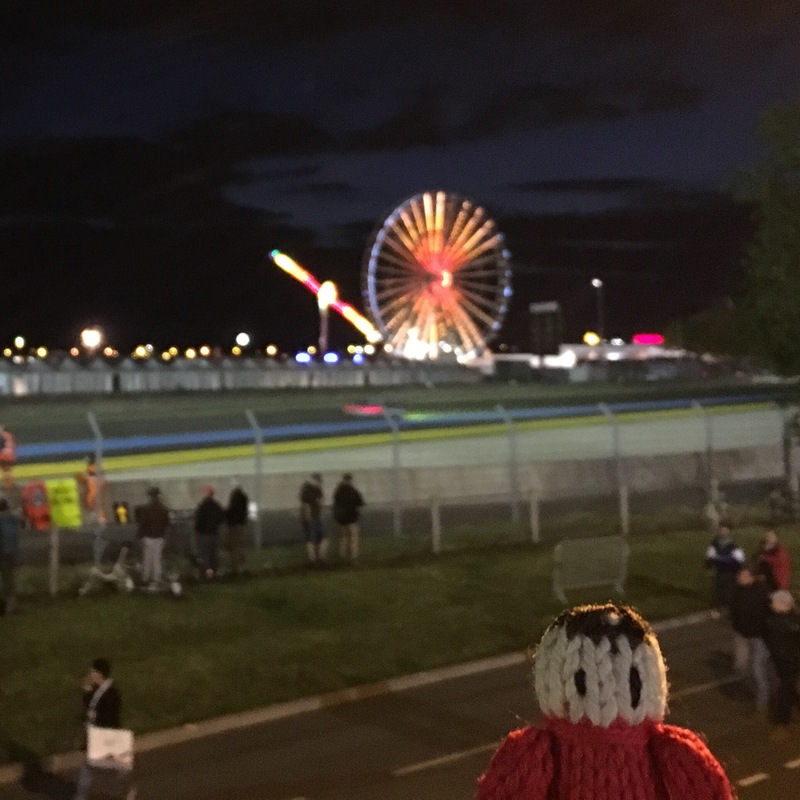 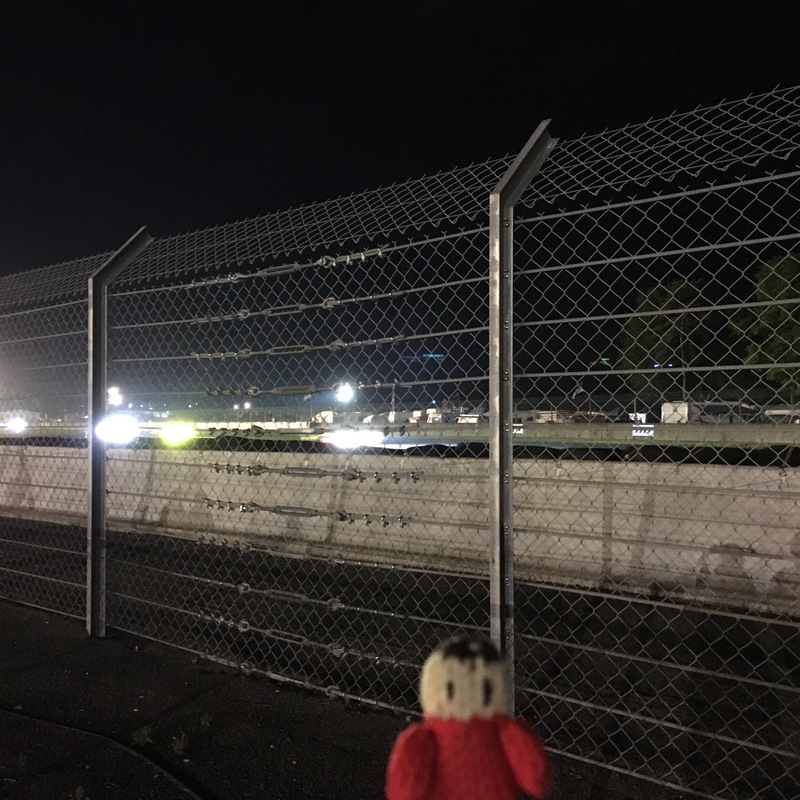 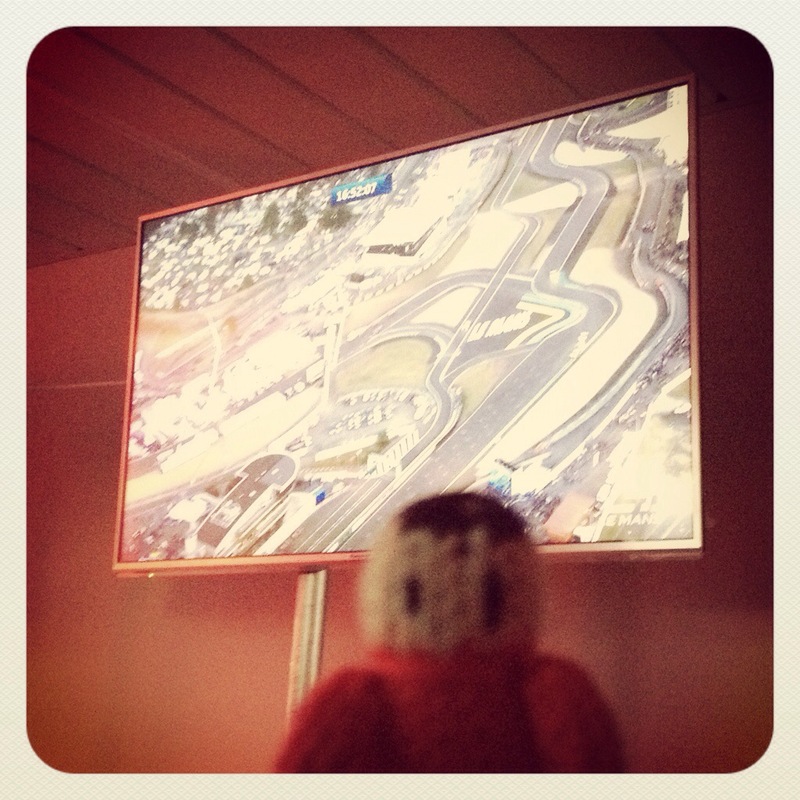 We watched the action from different points around the track. 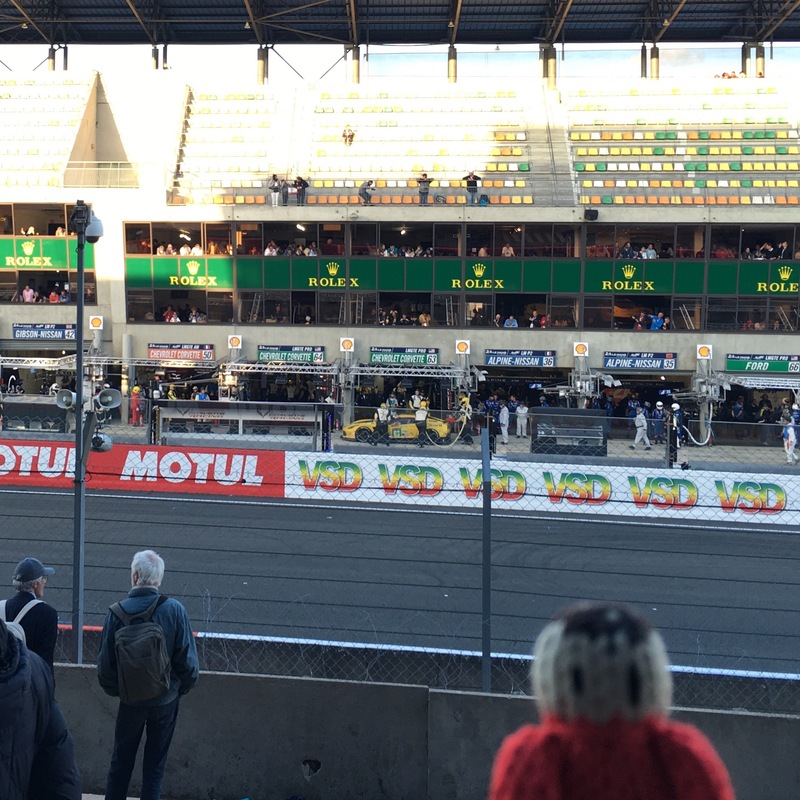 We had a great time and really enjoyed the race. 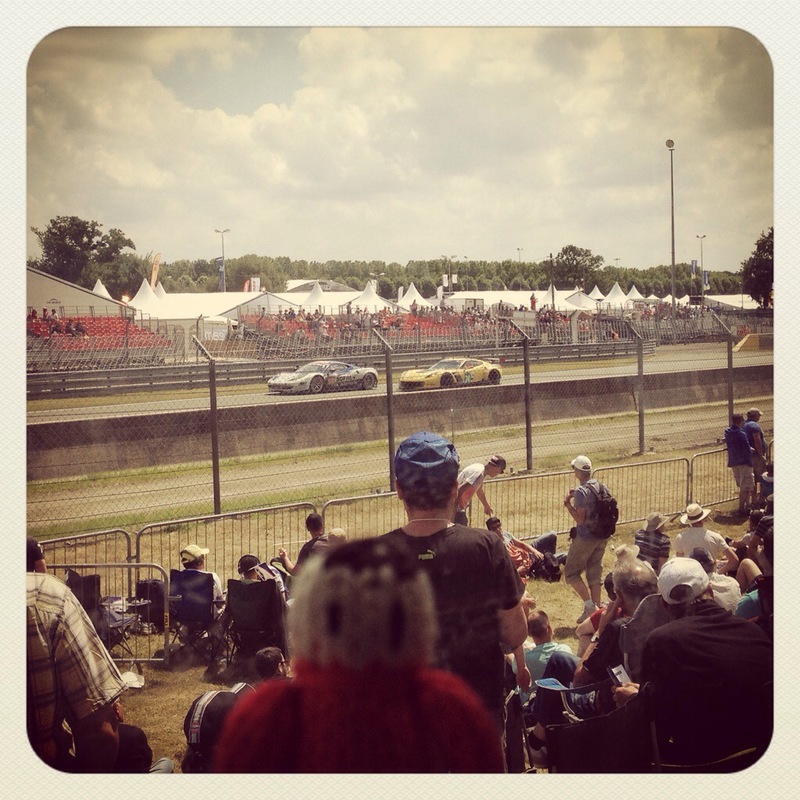 On Sunday Paul took me to the Corvette Nationals. 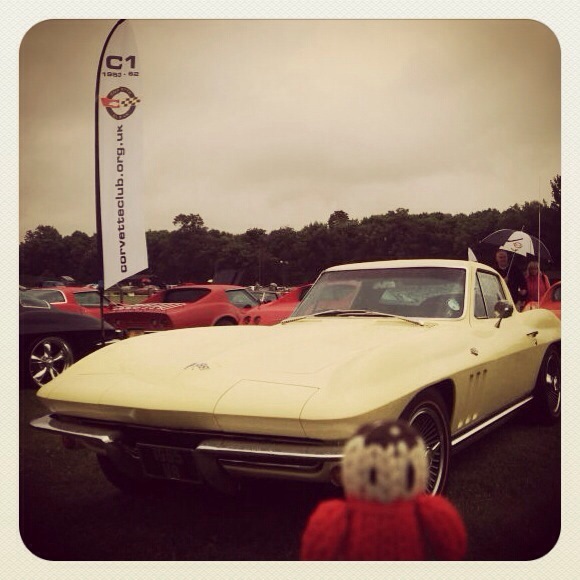 It was raining, but we still had fun at the show as lots of cars came out. 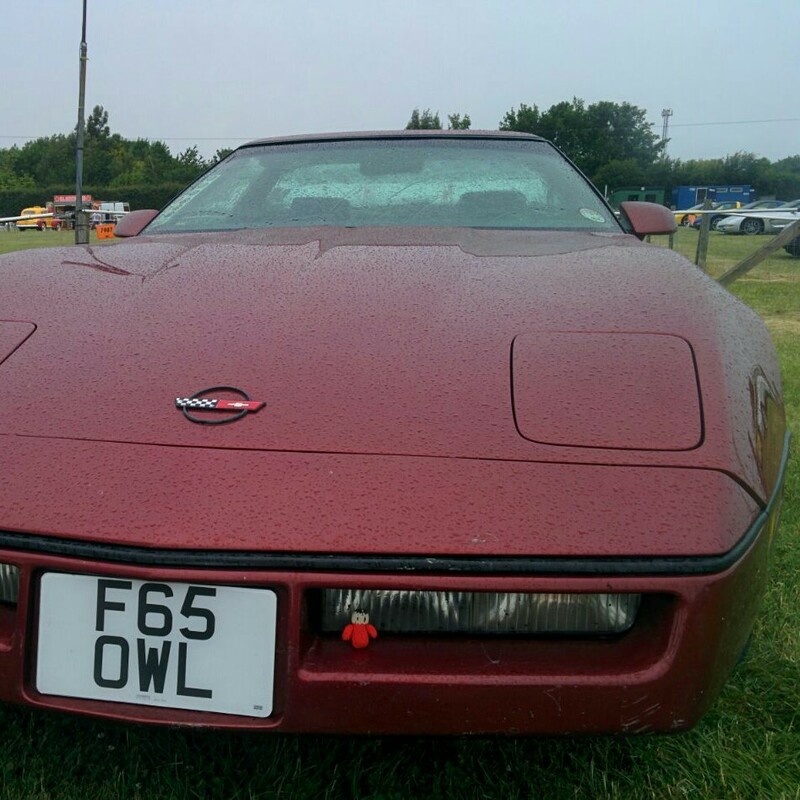 We saw lots of pretty corvettes and a few other interesting cars. 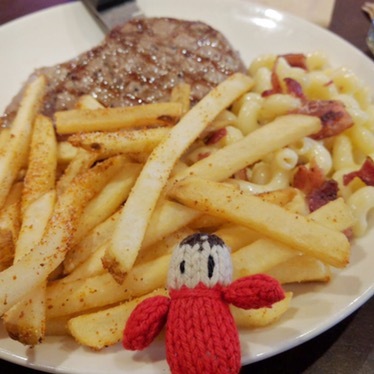 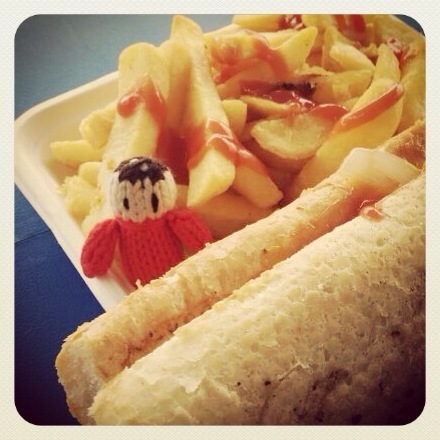 We had a bite to eat, mmmm chips! 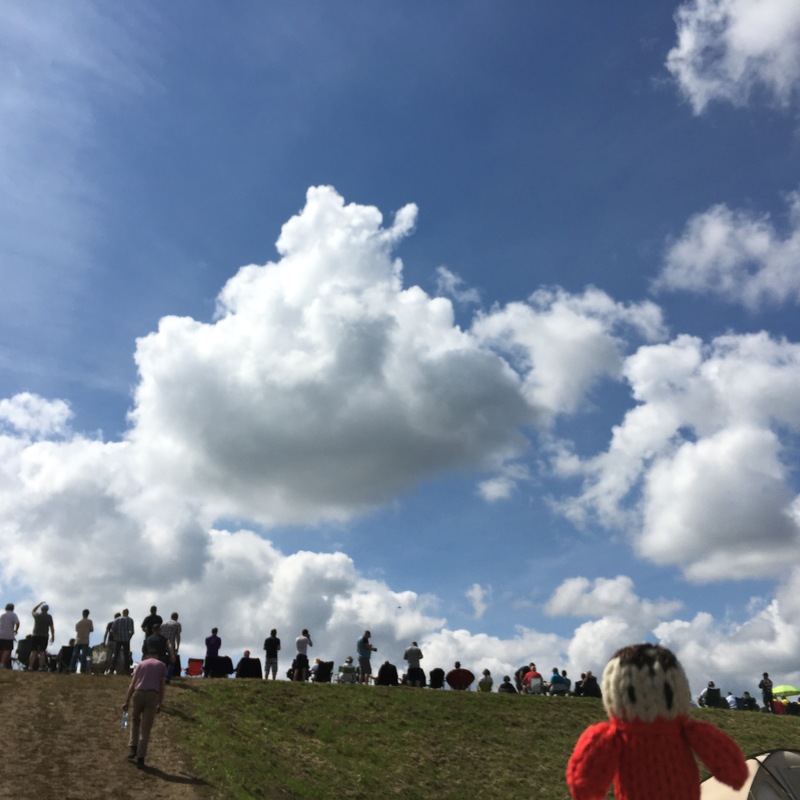 Paul got to talk to lots of people he knew. 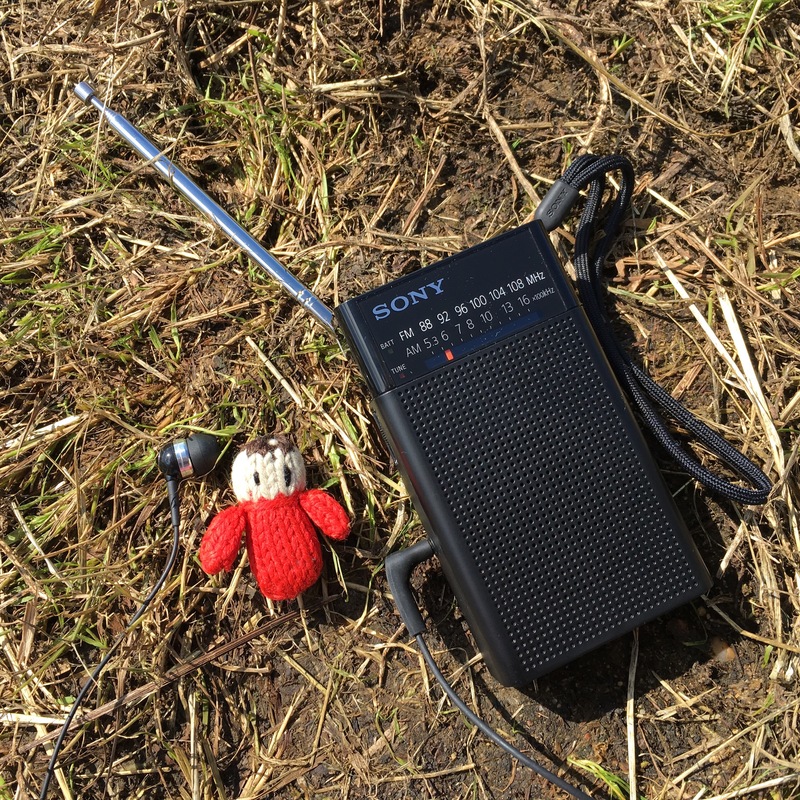 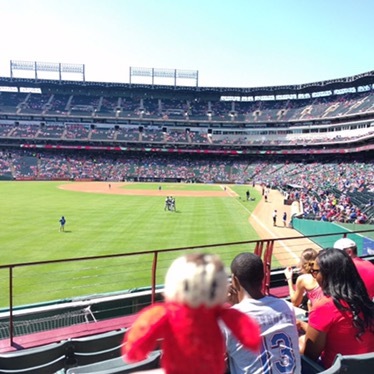 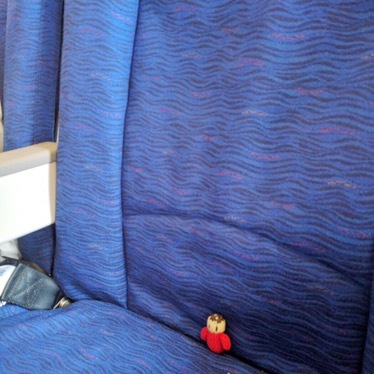 It was a fun day out. 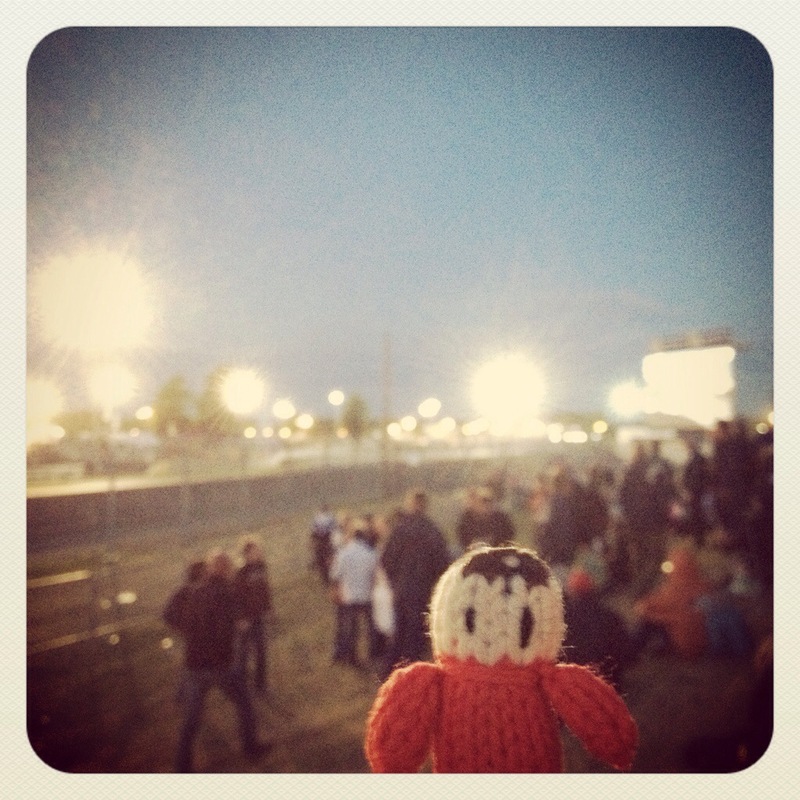 Race Day! 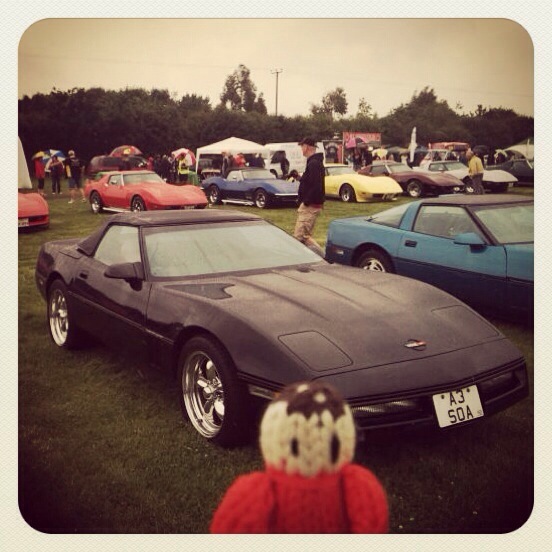 The Corvette Corral was very busy with people looking at all the cars in the morning. 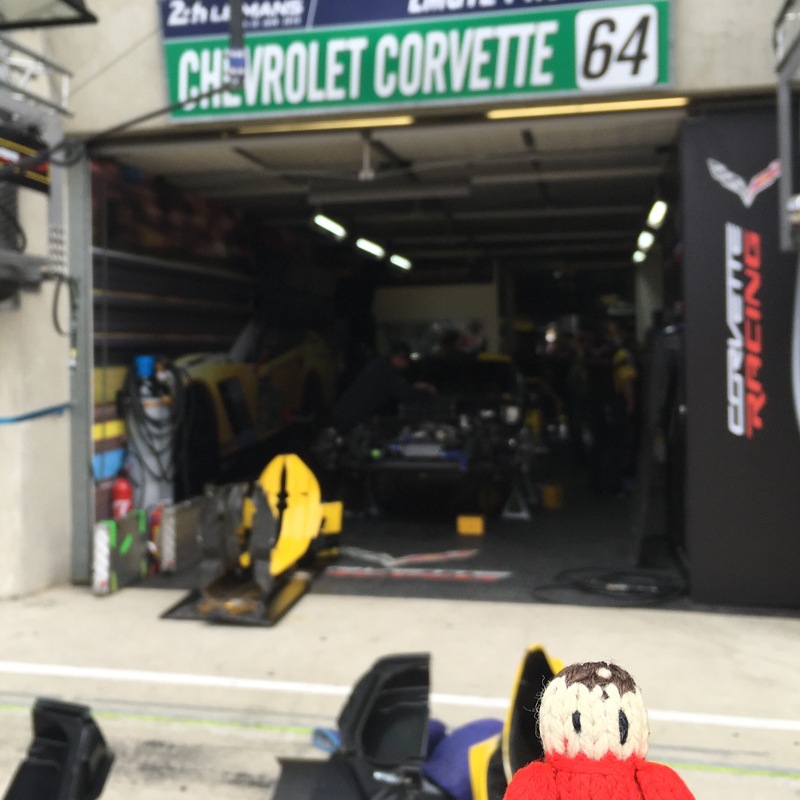 We had a look in the Corvette Racing shop, but didn’t buy anything. 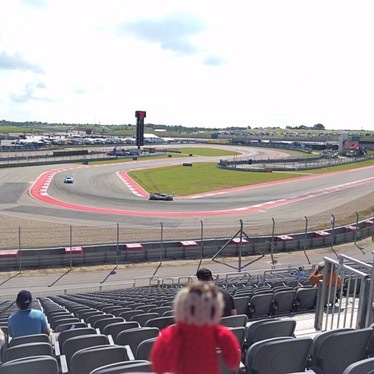 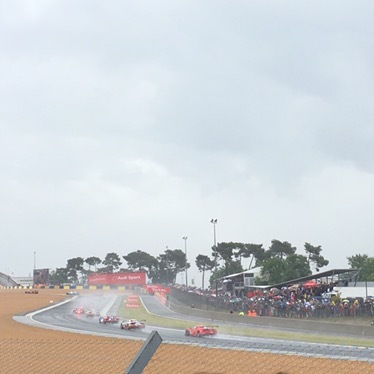 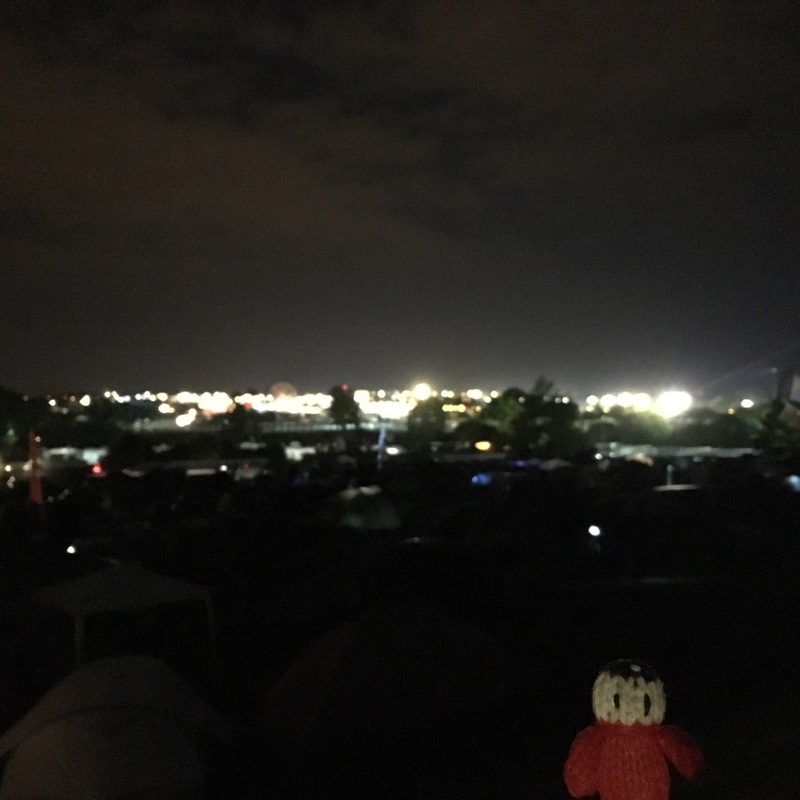 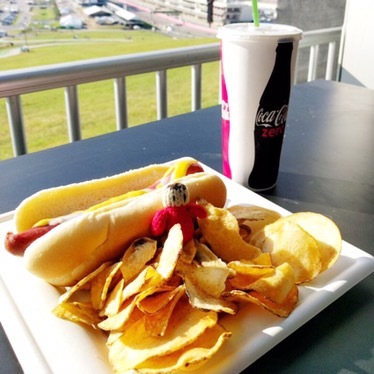 We started watching the race from our grandstand seats. 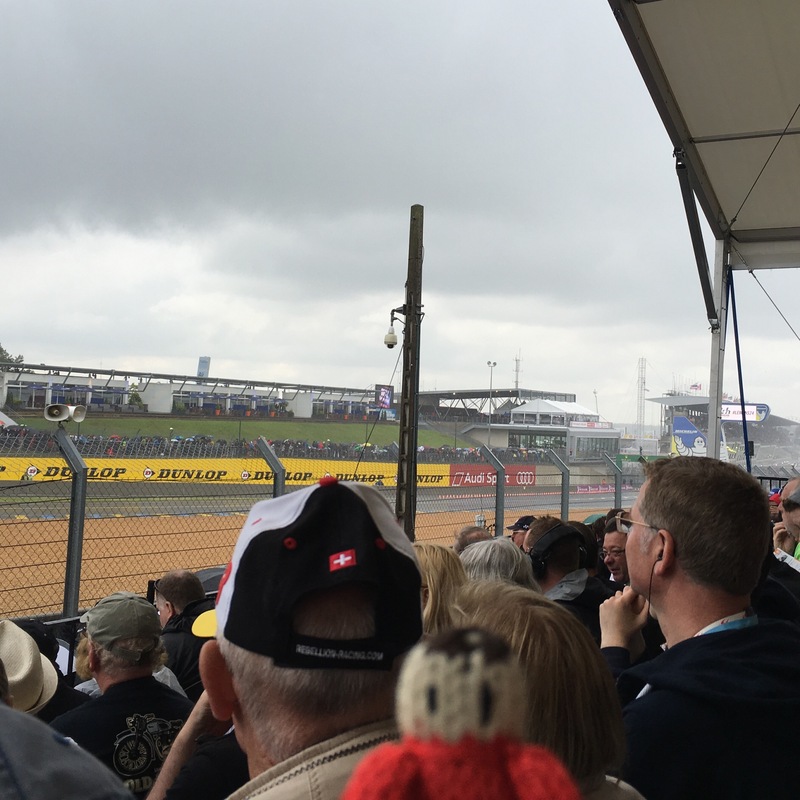 Luckily we were sitting here when it rained! 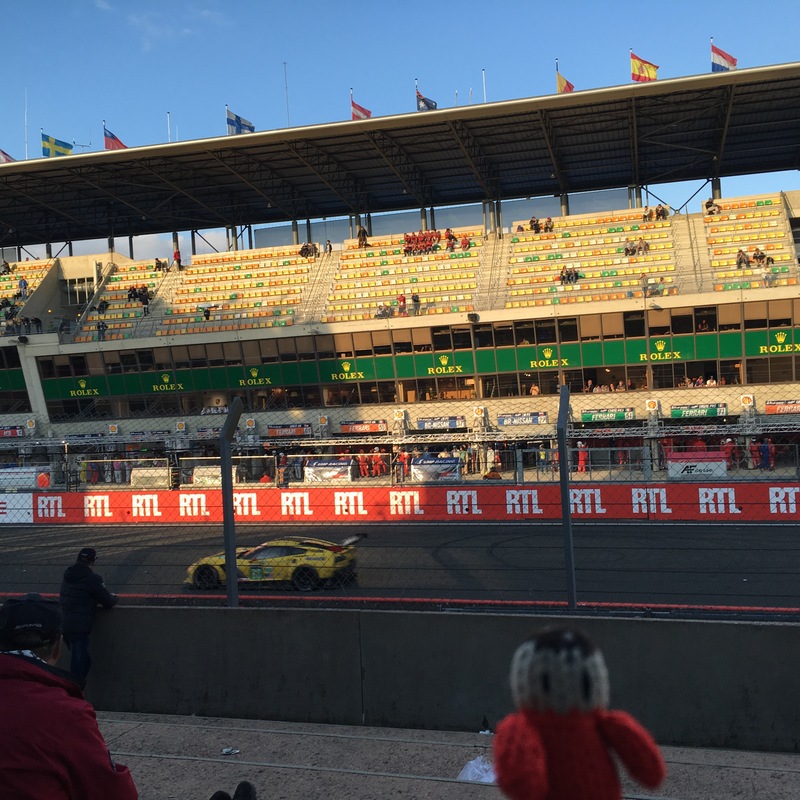 We went back to the Corvette Corral in the late afternoon to watch the race into the night. 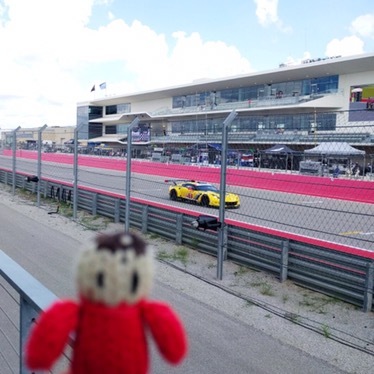 We stayed near the Corvette Corral the next morning to watch the final stages of the race. 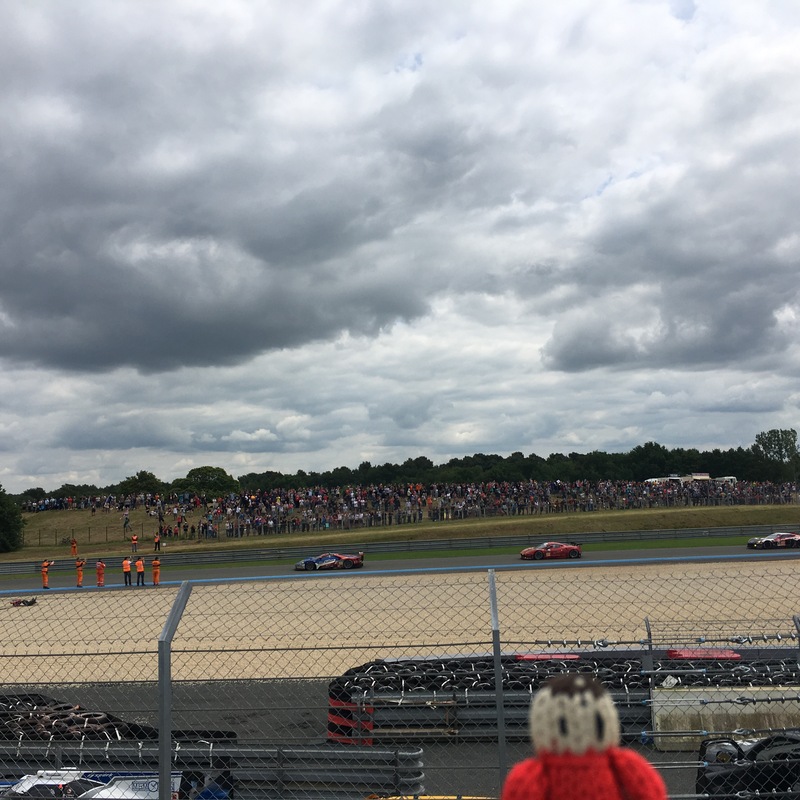 The Corvettes finished 2nd (73 car) and 4th (74 car) in their class. 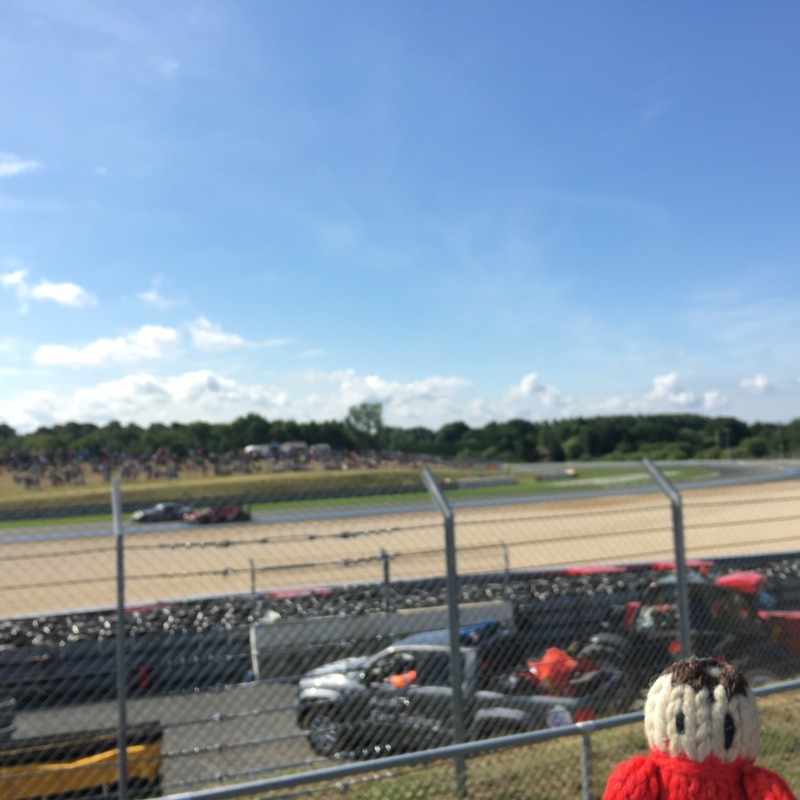 We had a great time and enjoyed the race.